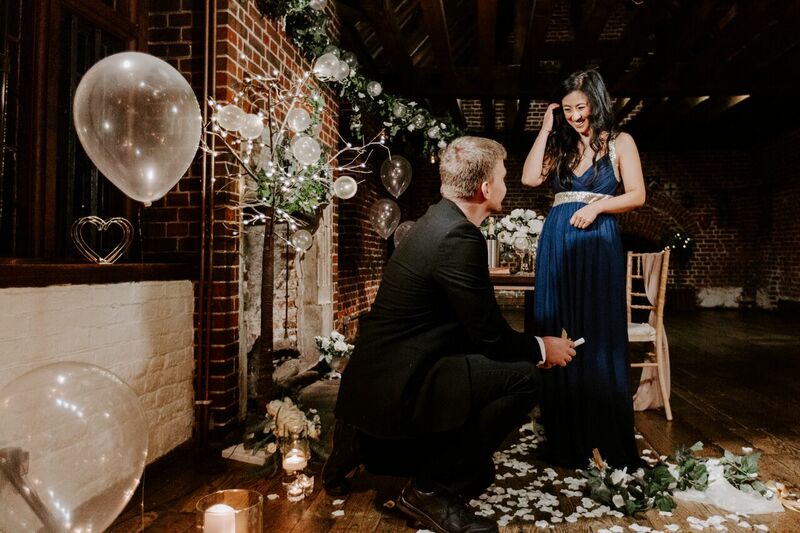 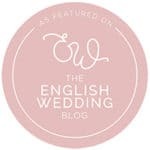 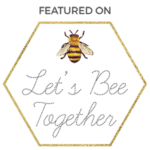 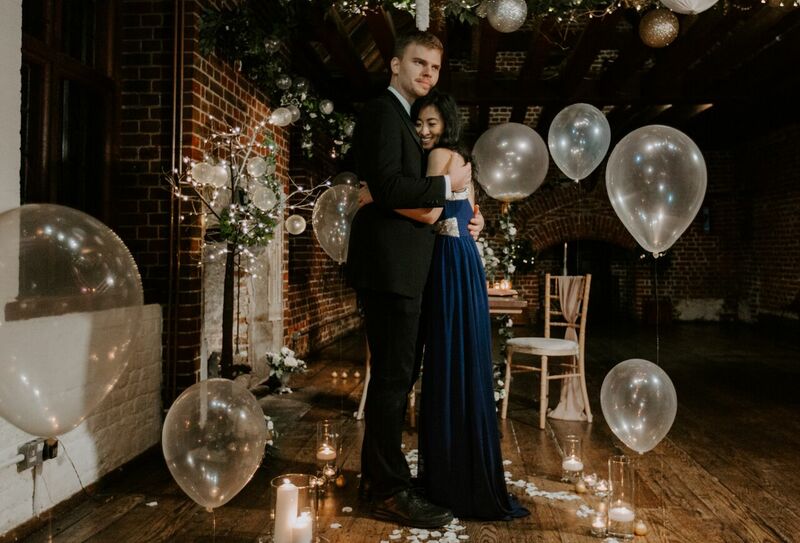 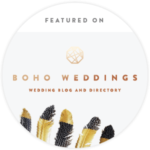 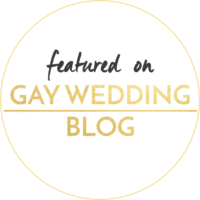 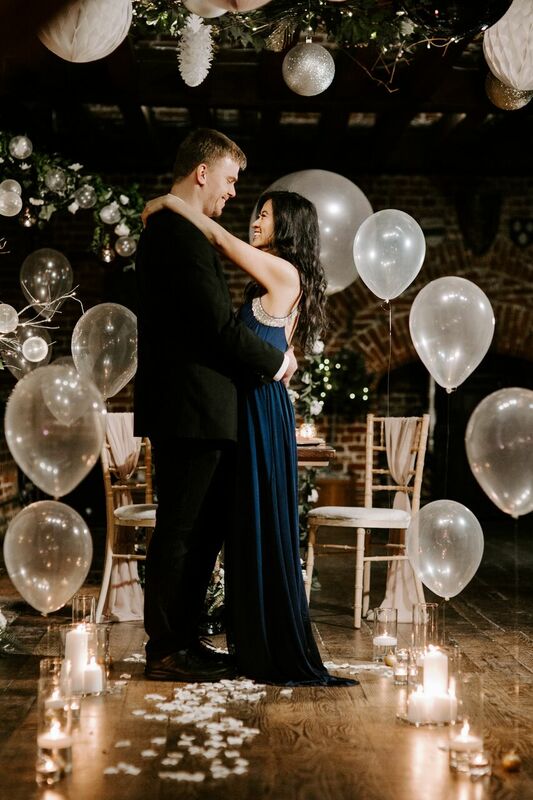 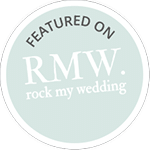 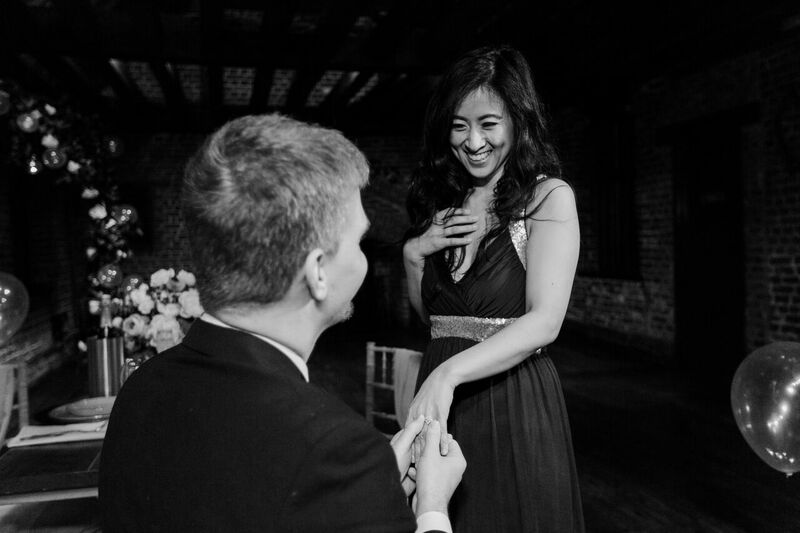 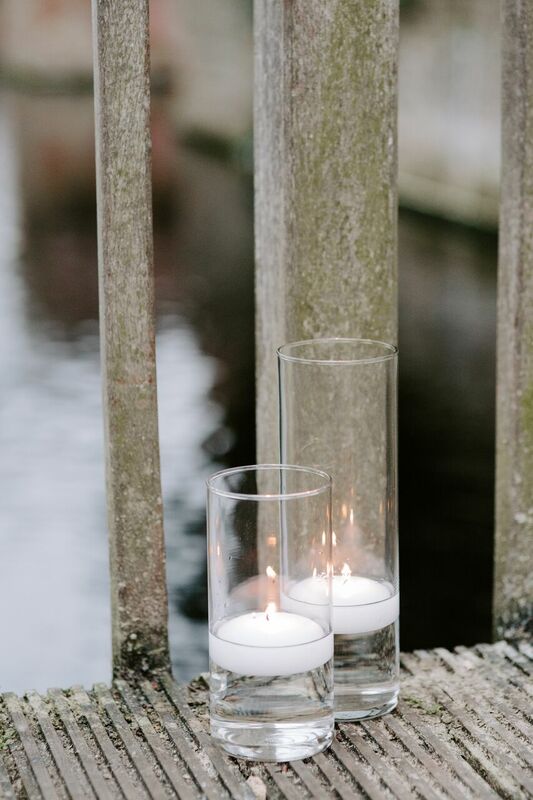 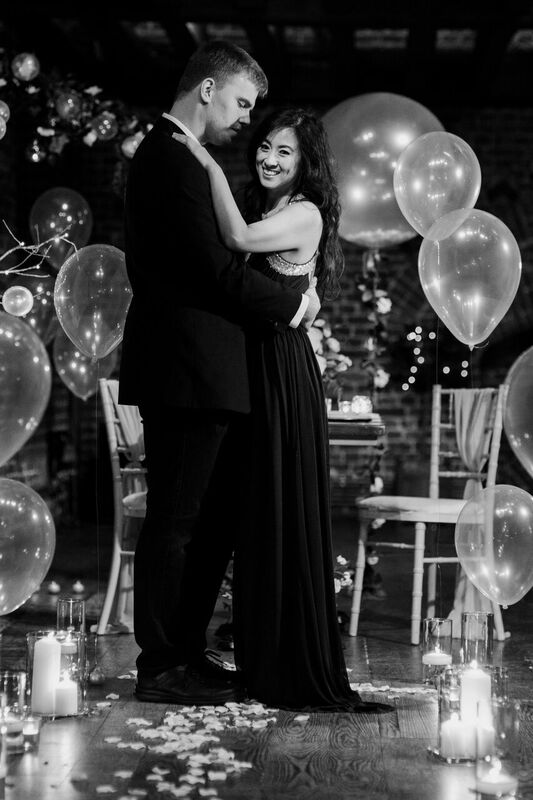 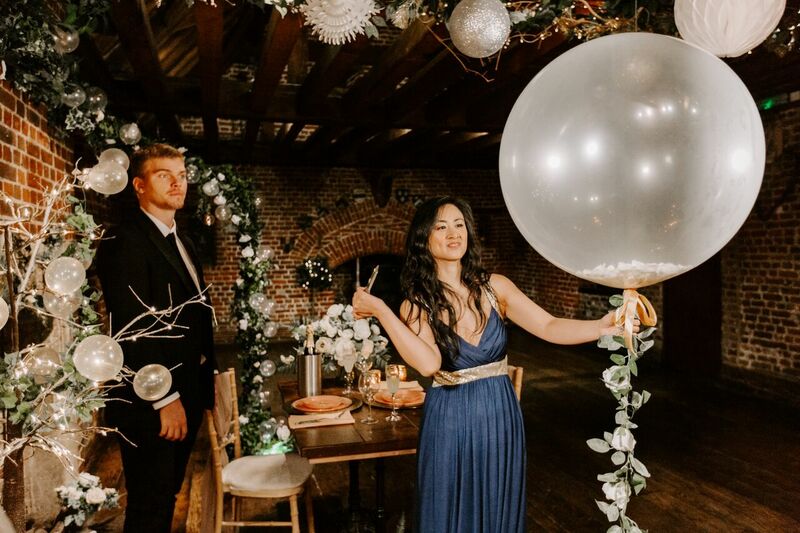 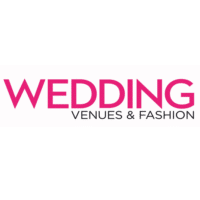 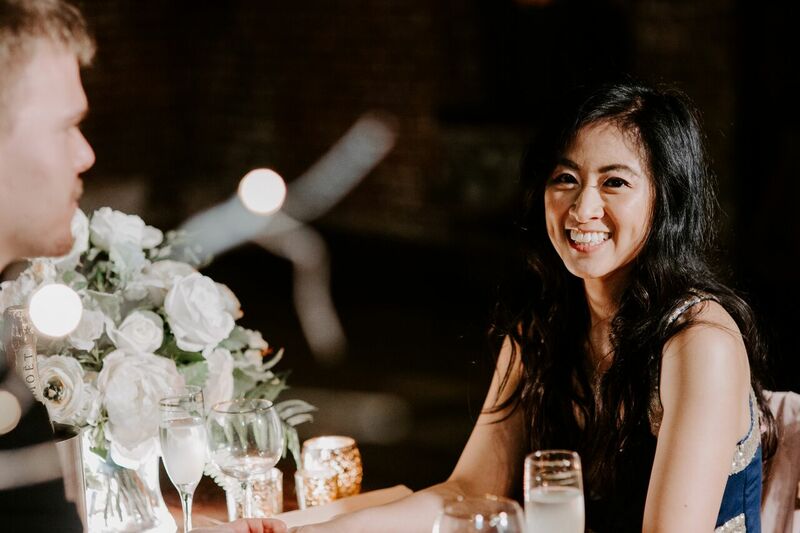 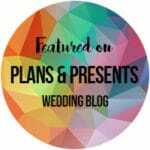 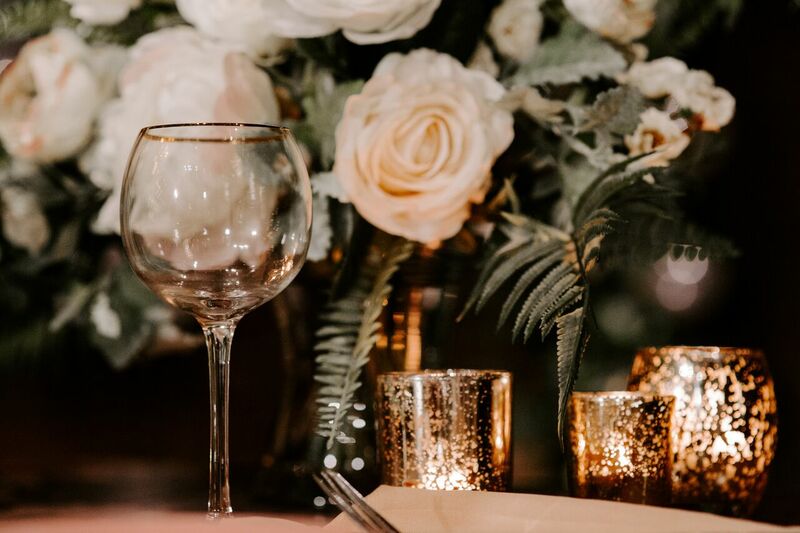 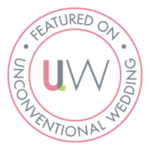 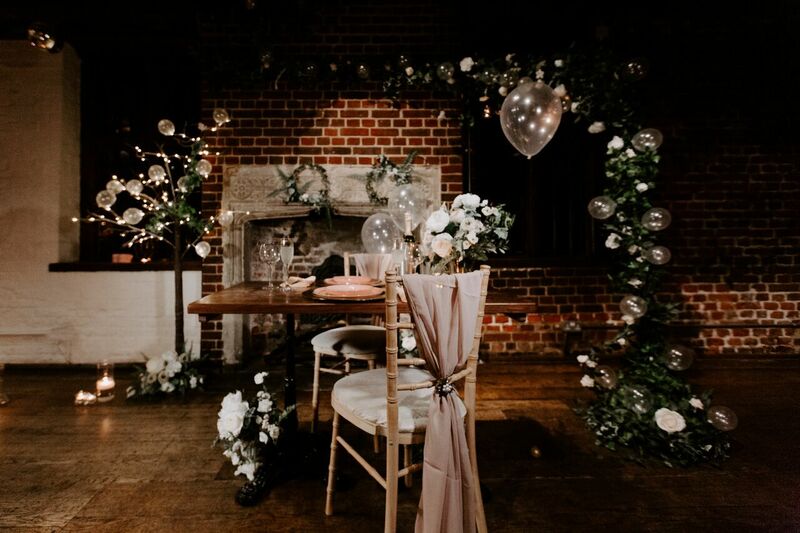 As the lead up to the most romantic time of the year approaches ‘Valentine’s Day’ engagement season, myself and Gemma from www.gbelegantevents.co.uk wanted to come up with a romantic idea for a proposal, it needed to be loving, intimate and have that special wow factor. 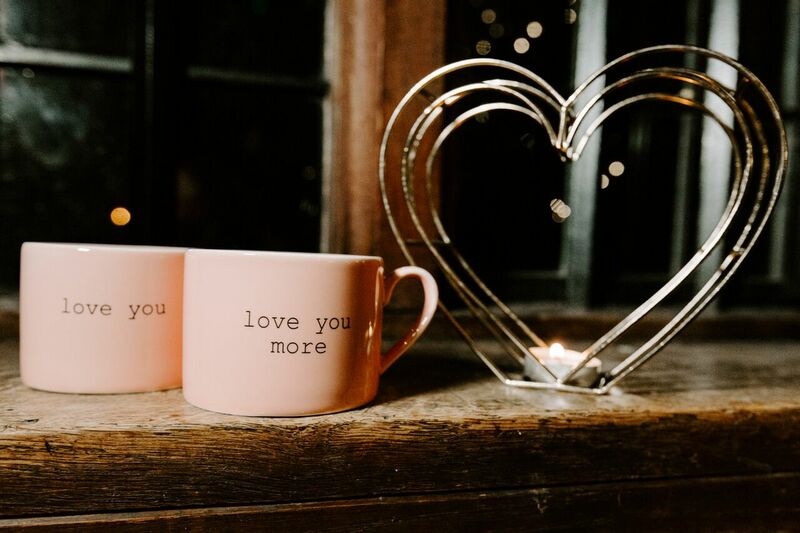 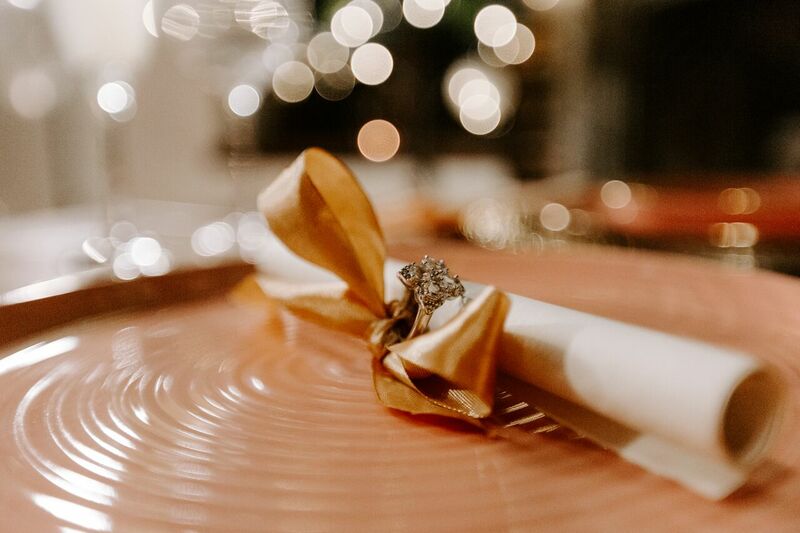 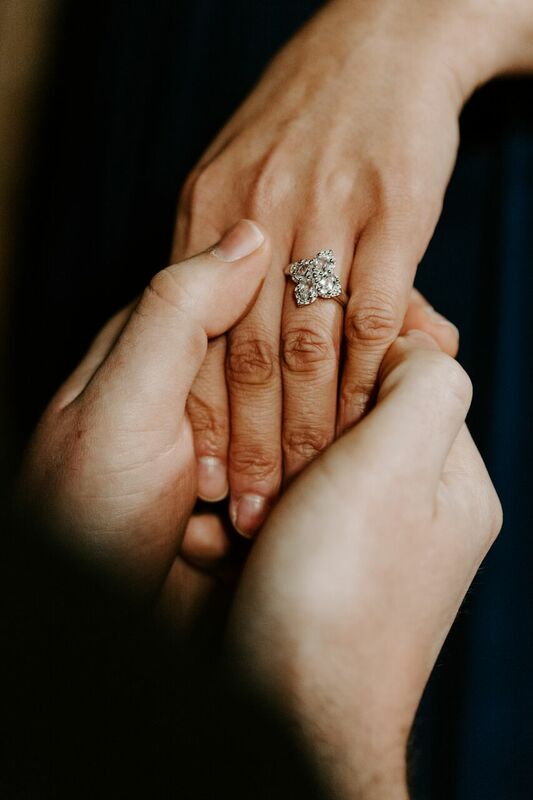 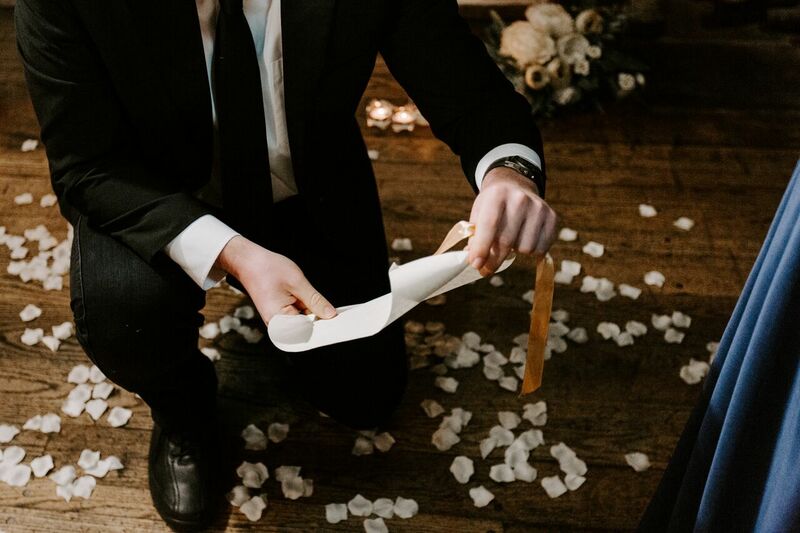 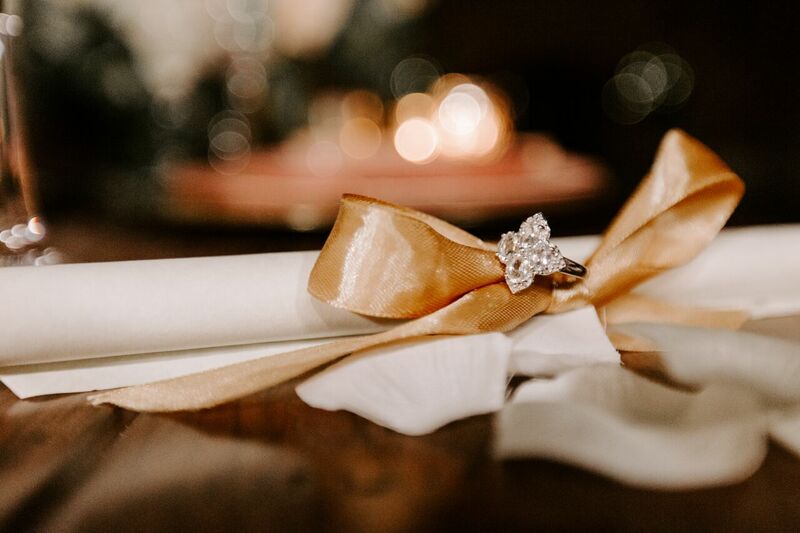 We are both romantics at heart and thought…….what would we like to be surprised with if someone popped the question to us. 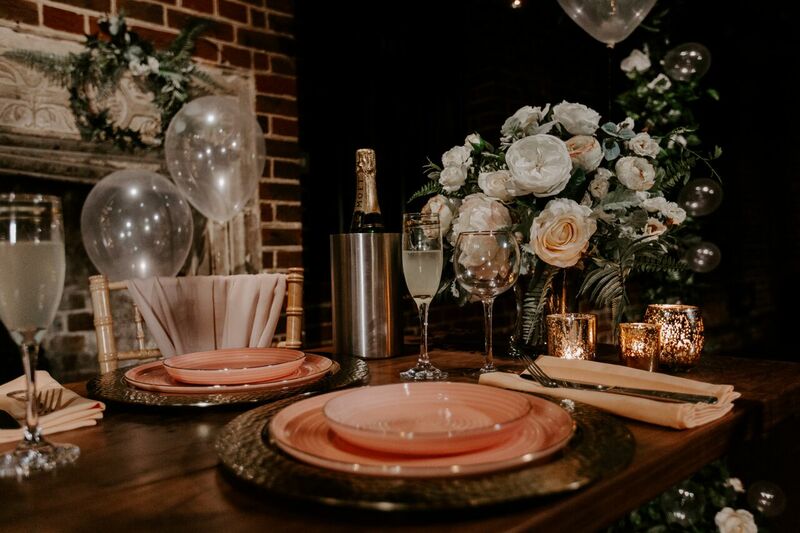 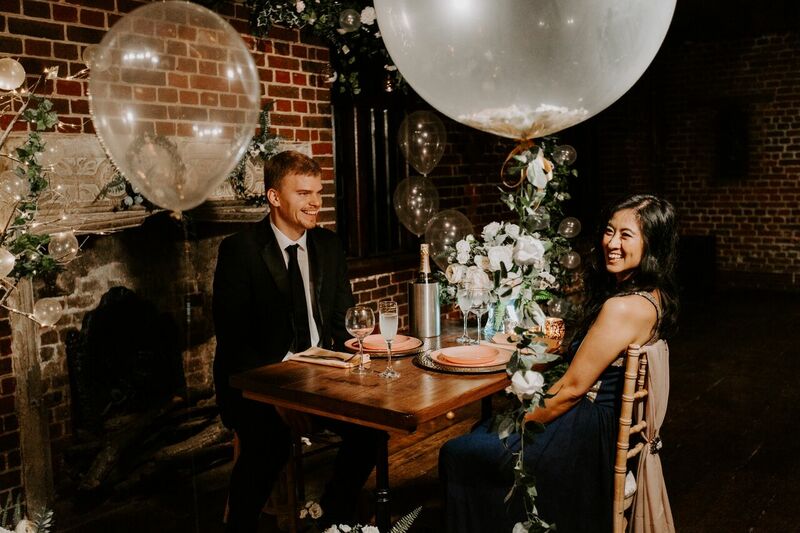 Obviously, I wanted to incorporate my balloons and Gemma wanted to incorporate her props, so we thought a romantic candle lit setting, a beautiful table for two, set by Gemma, and looked absolutely beautiful, using touches of coral (Pantone colour 2019) and a pretty silk flower display from Gwenda at www.bohotanical.co.uk , we had a candle and rose petal path leading up to the table. 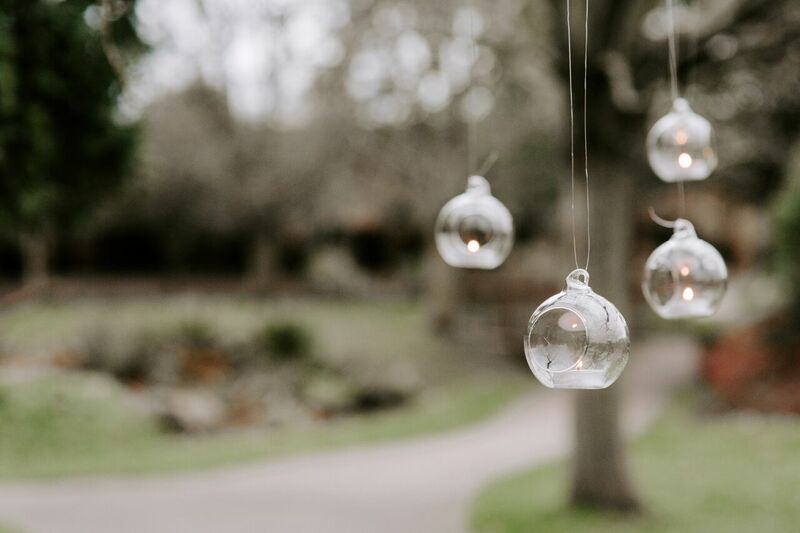 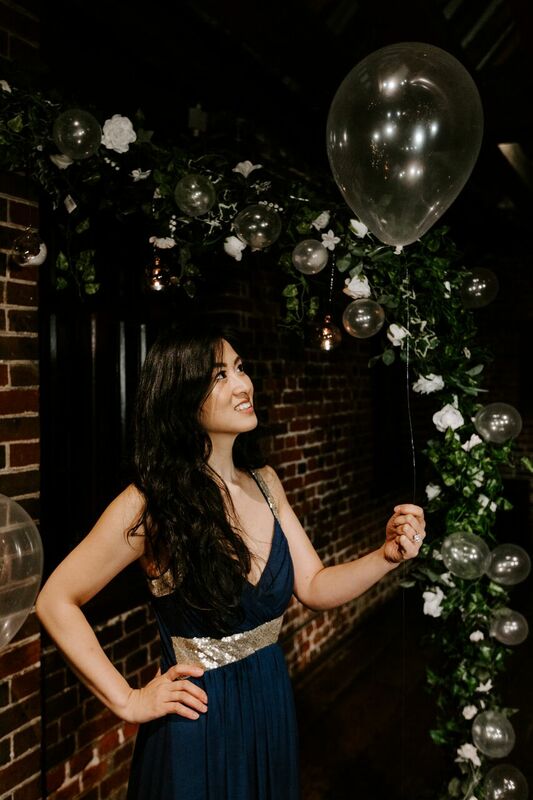 I also thought some clear balloons floating would look super cute, the clear balloons are fabulous as they look like bubbles. 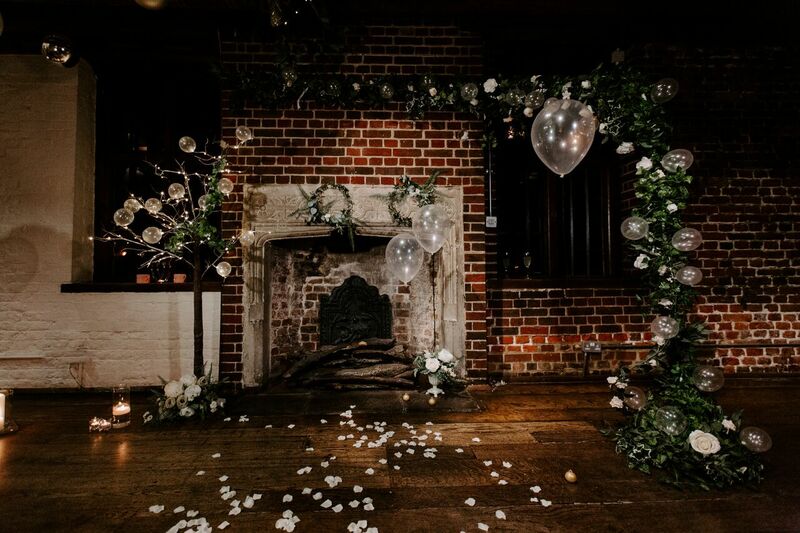 I entwined ivy, white rose garlands and ruscus on a frame that I usually use for my balloons, it actually looked really cool and for my finishing touch I added little 5 inc clear balloons to match the theme. 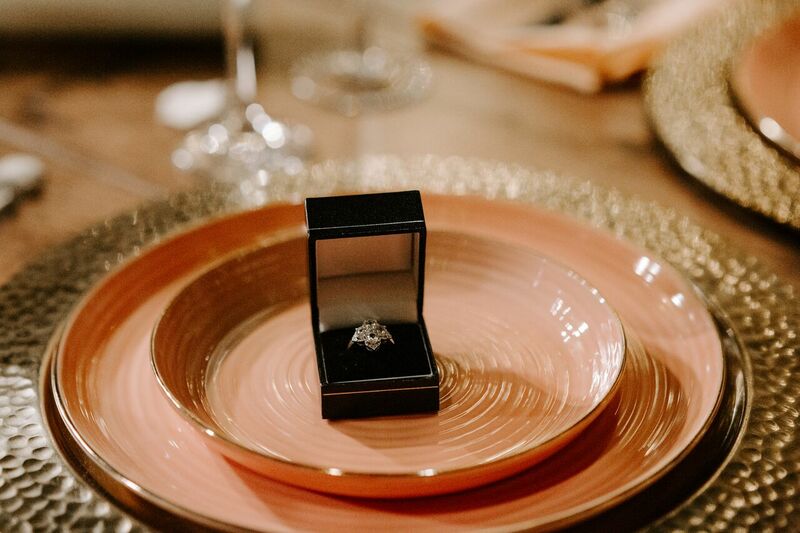 Once the setting was ready, we had to think about the actually proposal. 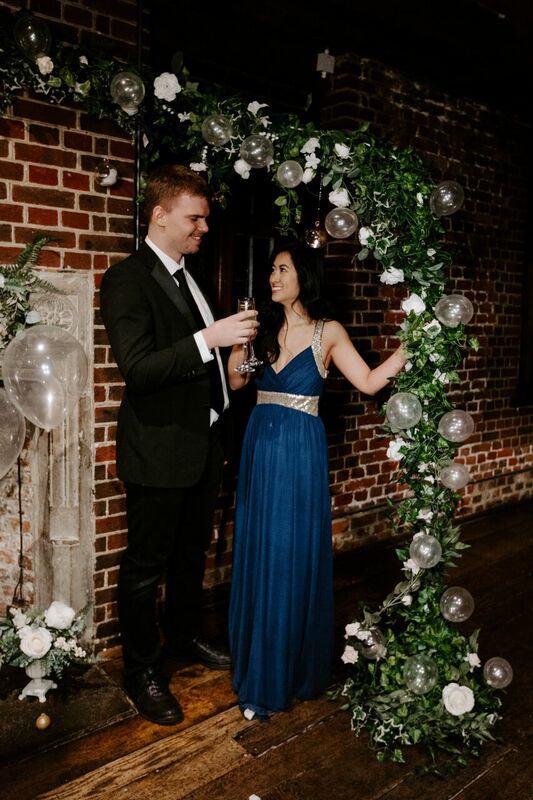 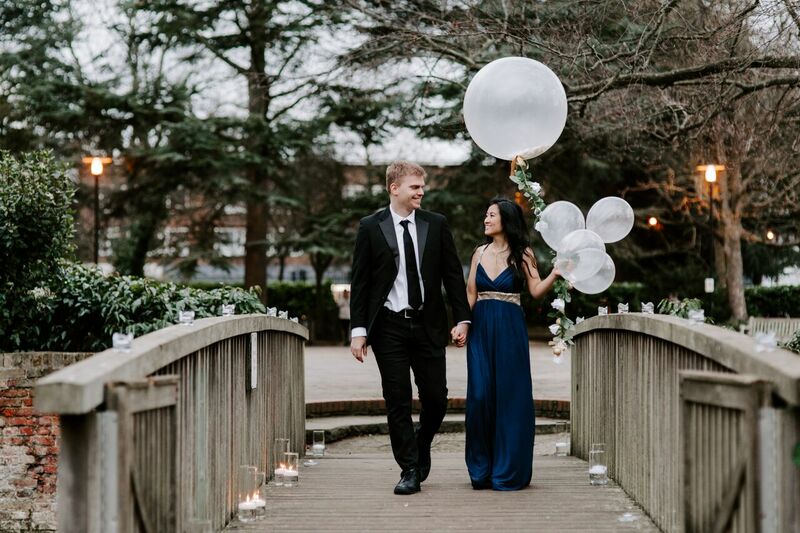 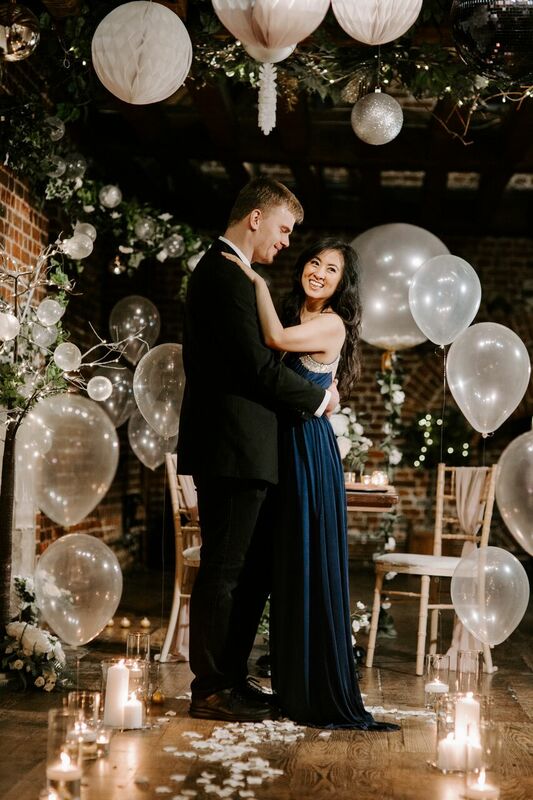 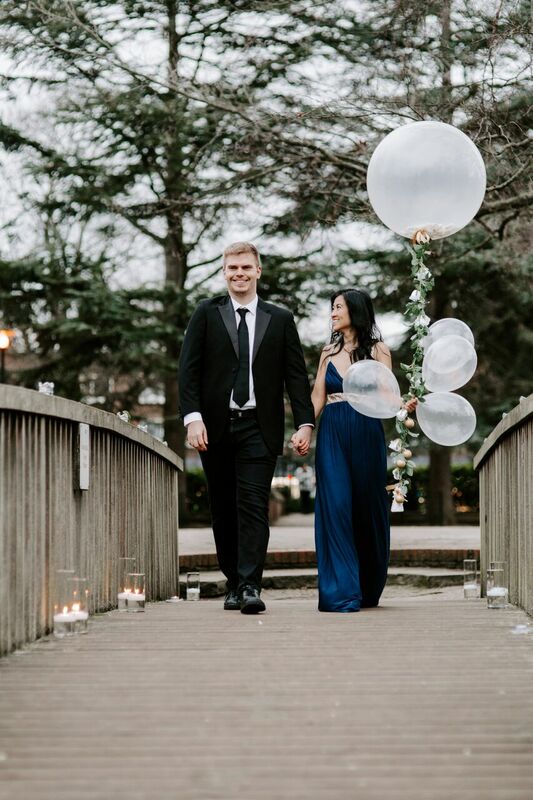 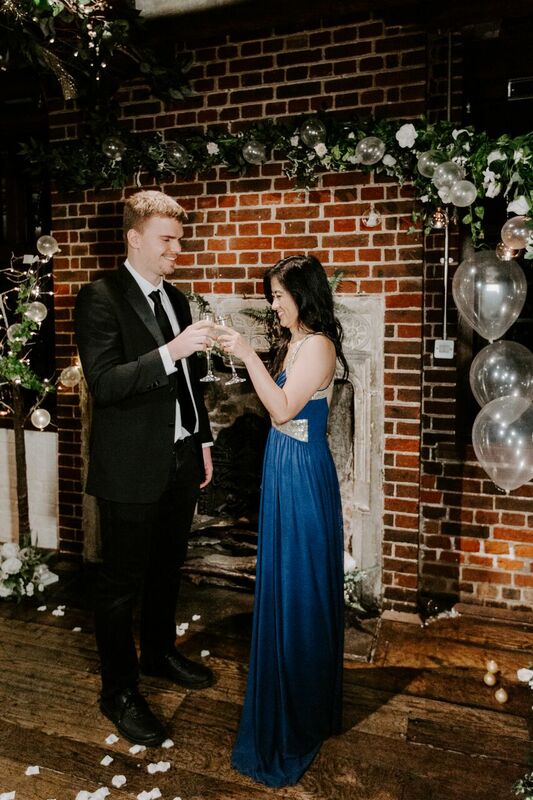 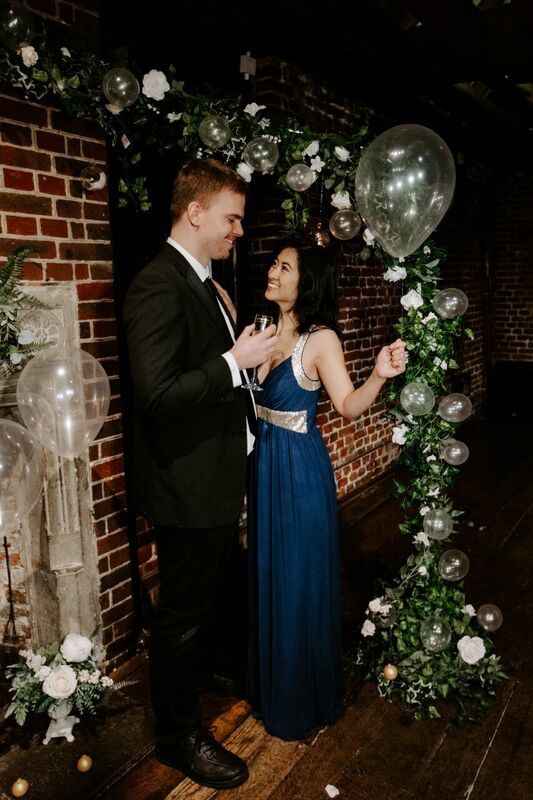 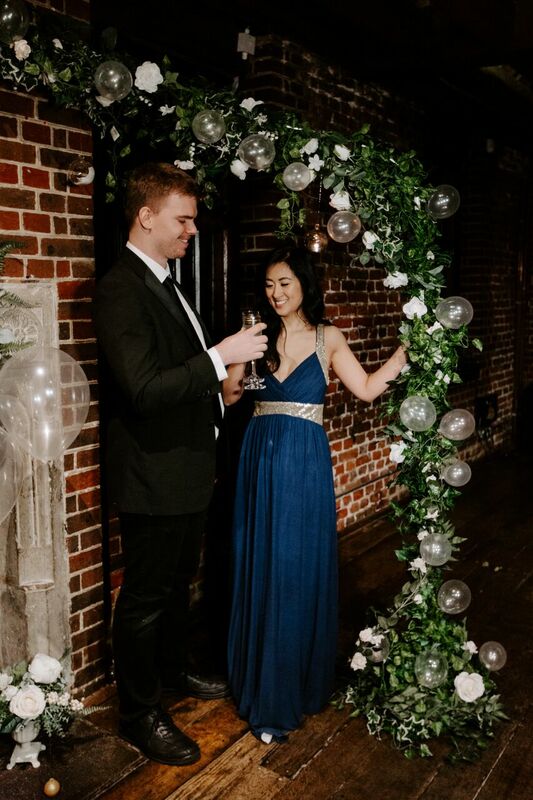 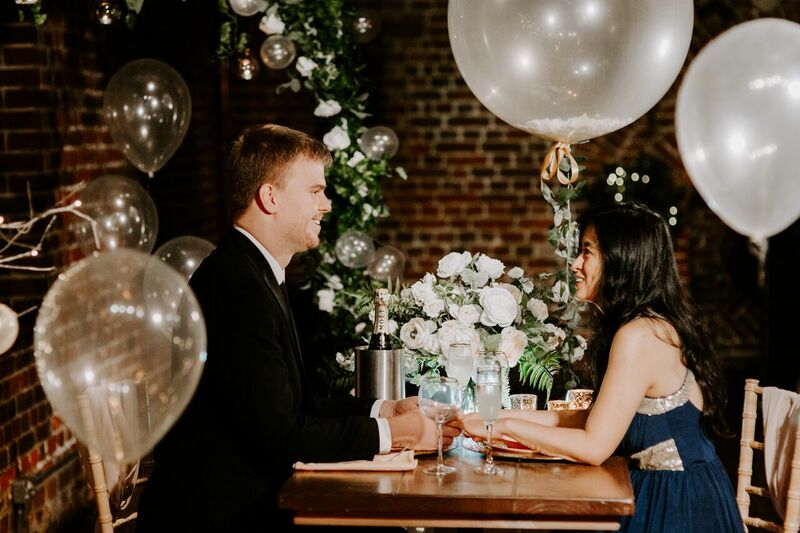 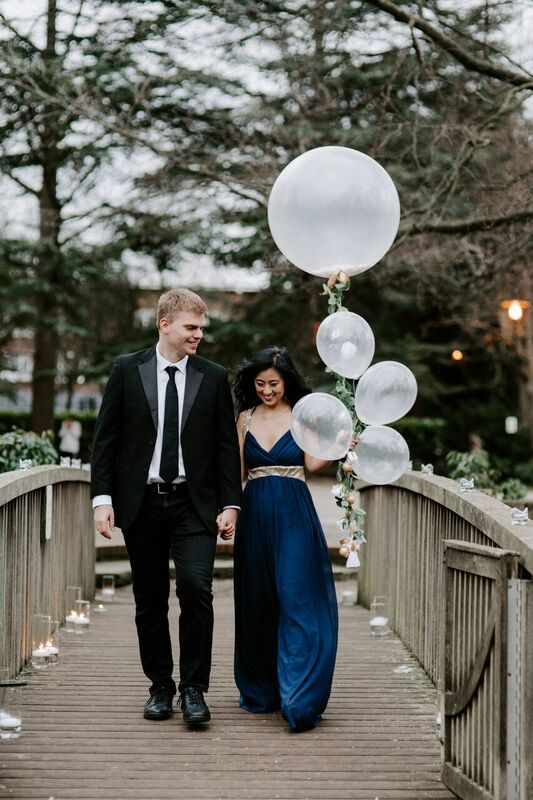 I knew that gender reveal balloons are hugely popular now, so thought why not do a proposal reveal, so I created a giant clear balloon, rose garland tail to match the arch with rose petals inside, a beautiful calligraphy written scroll with a romantic proposal from the heart, hand tied with a gold ribbon and attached to the ribbon and engagement ring, so the concept was he was to say “darling I have a surprise for you hidden within the balloon, you have to burst it to find out what it is,” she then pops the balloon and the rose petals and scroll drops to the floor, he then drops on one knee and proposes, opening the scroll, to read the scroll and place the ring on her finger, I mean how can she say no!. 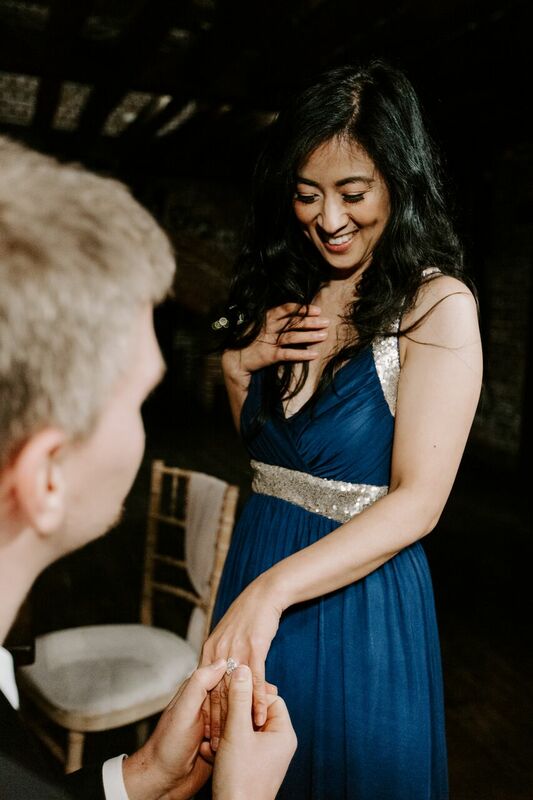 She then falls into his arms with her response, which of course is yes! 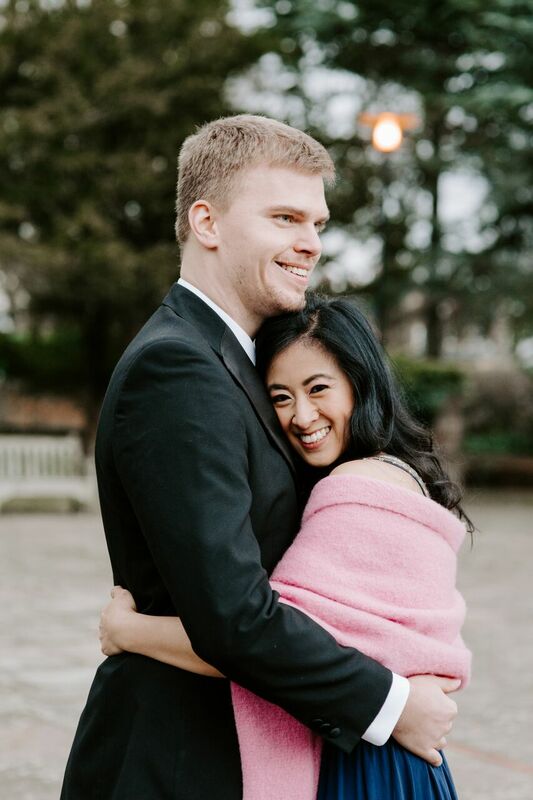 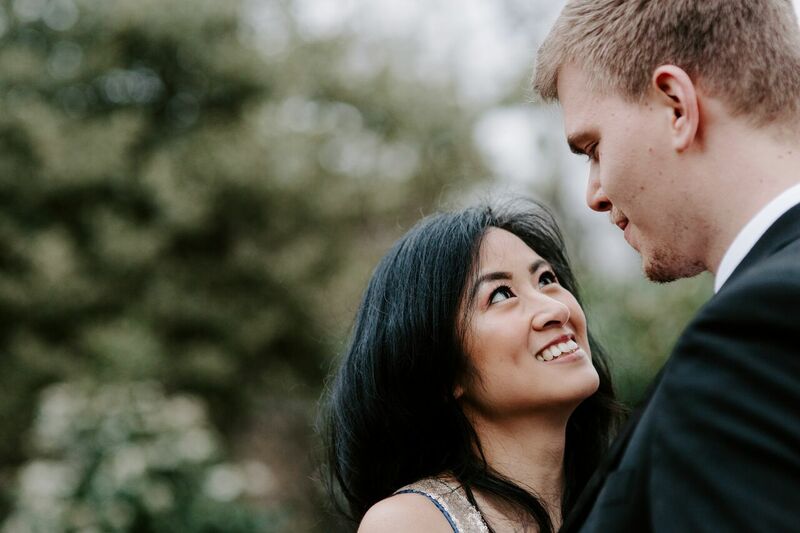 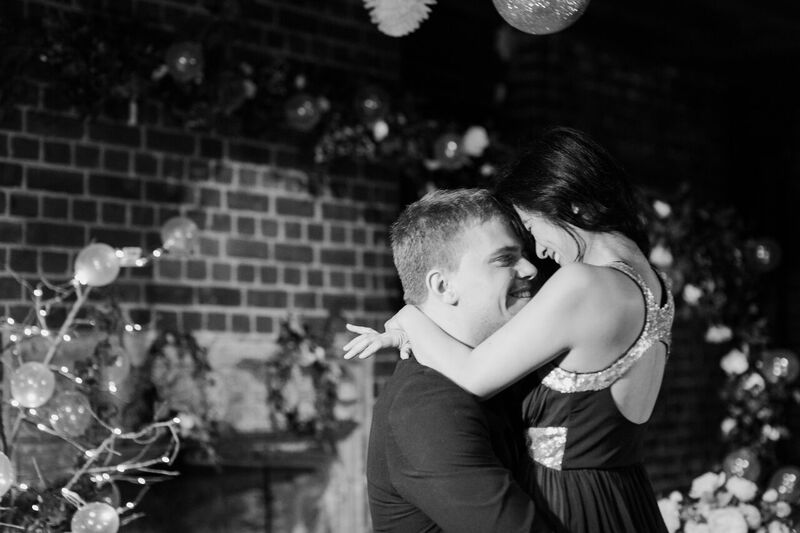 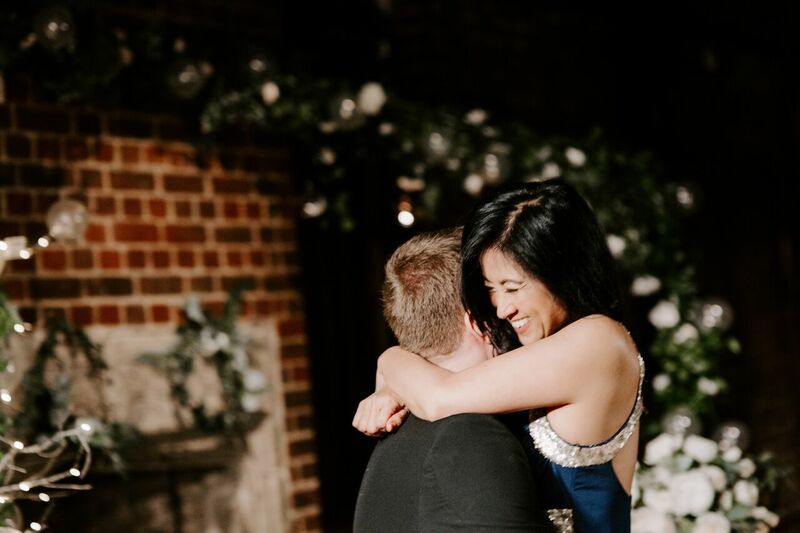 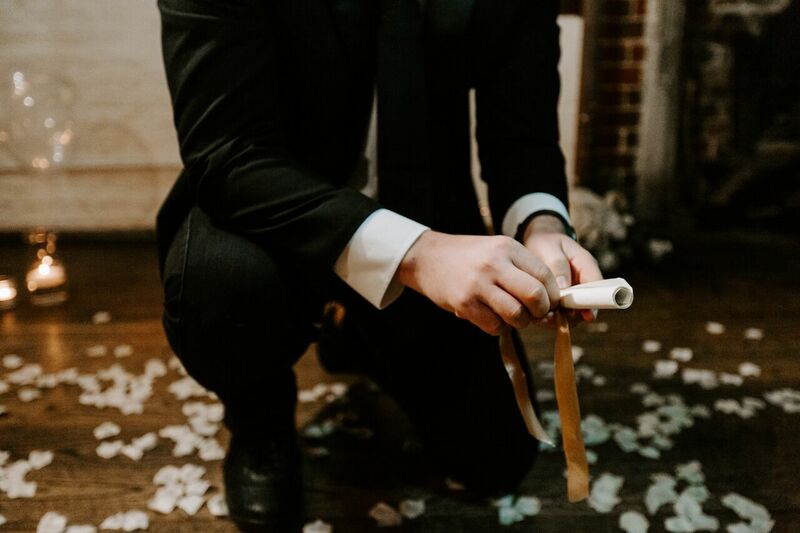 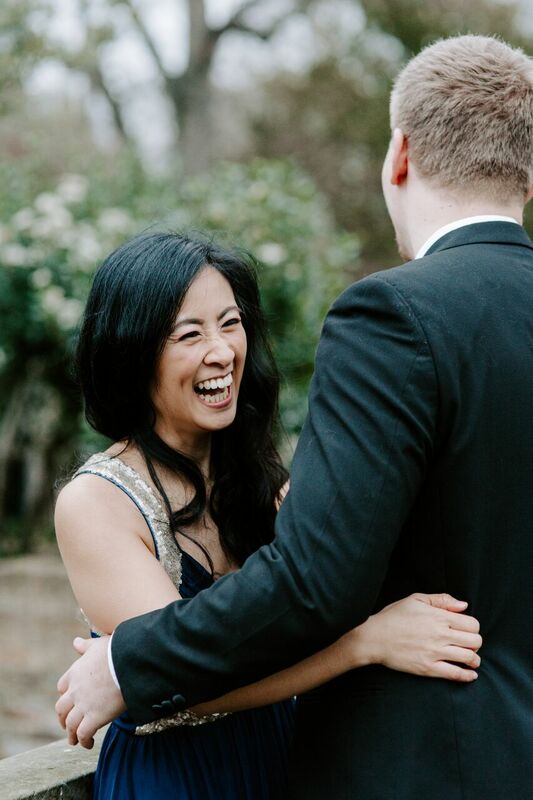 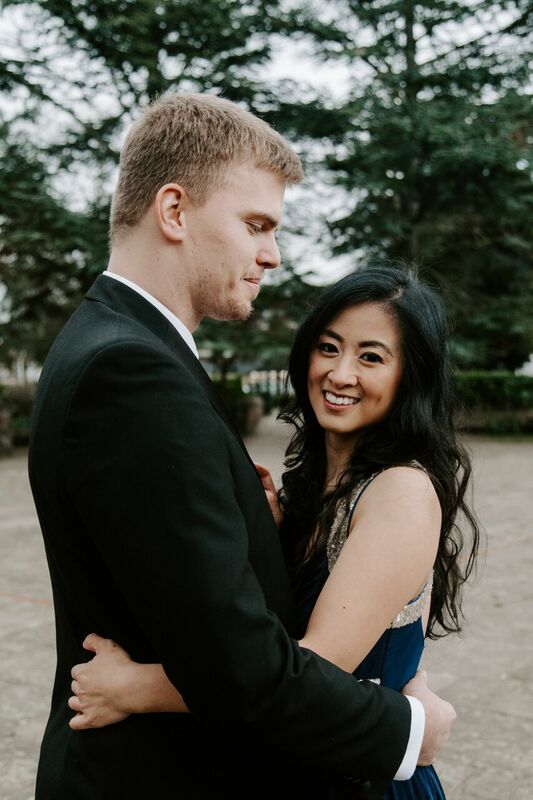 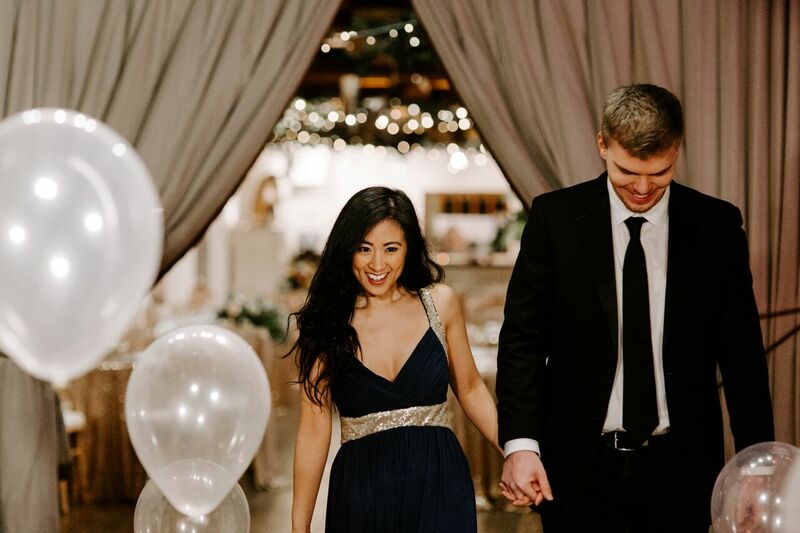 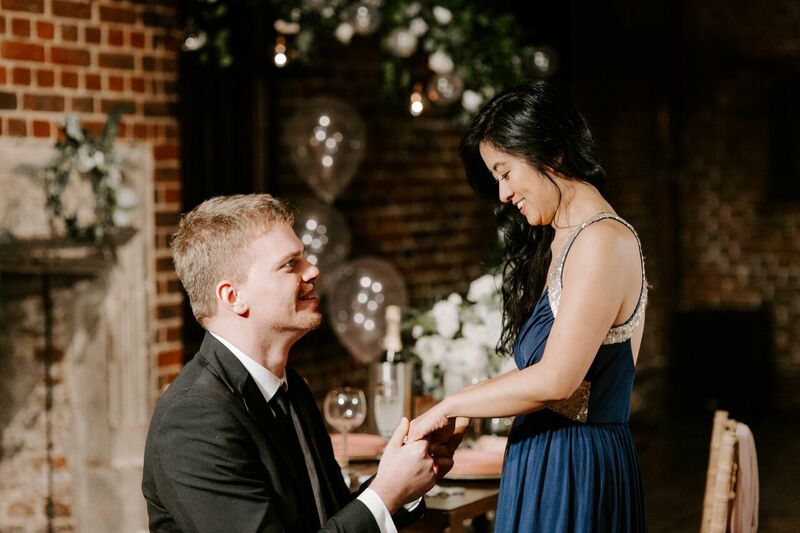 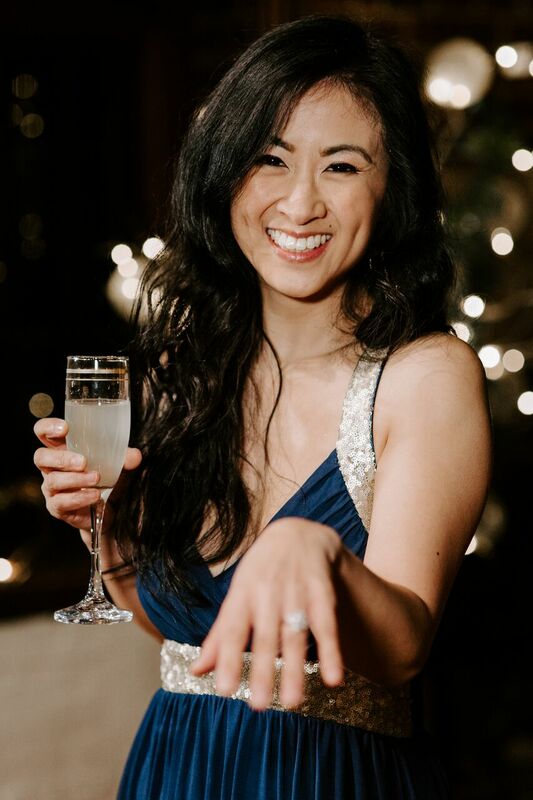 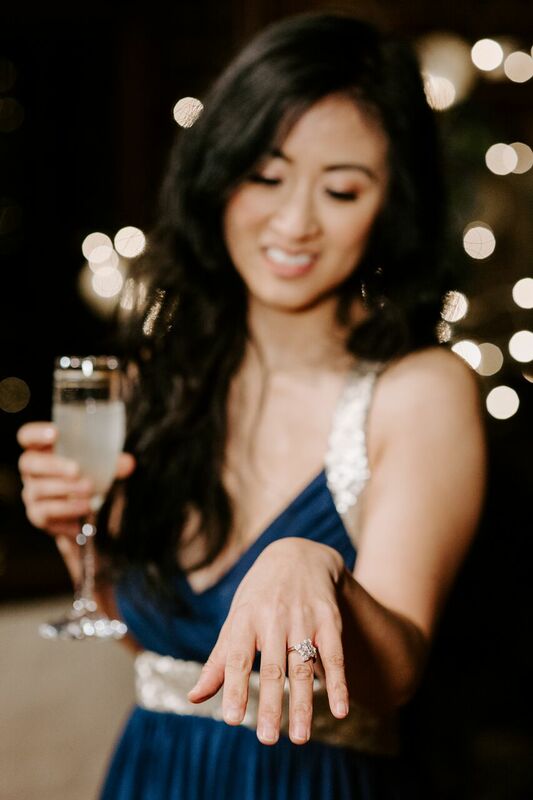 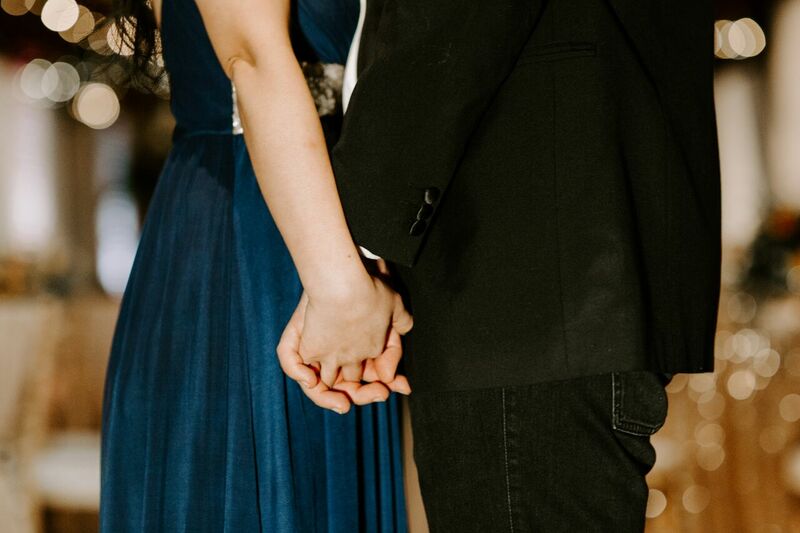 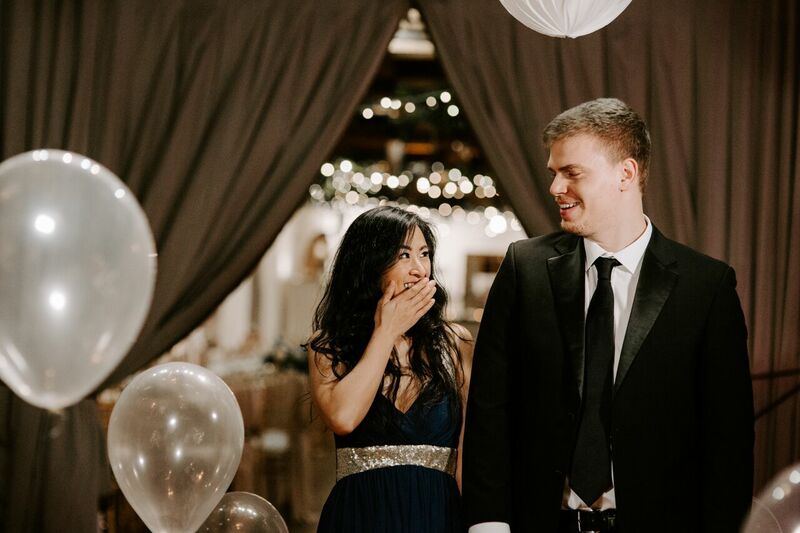 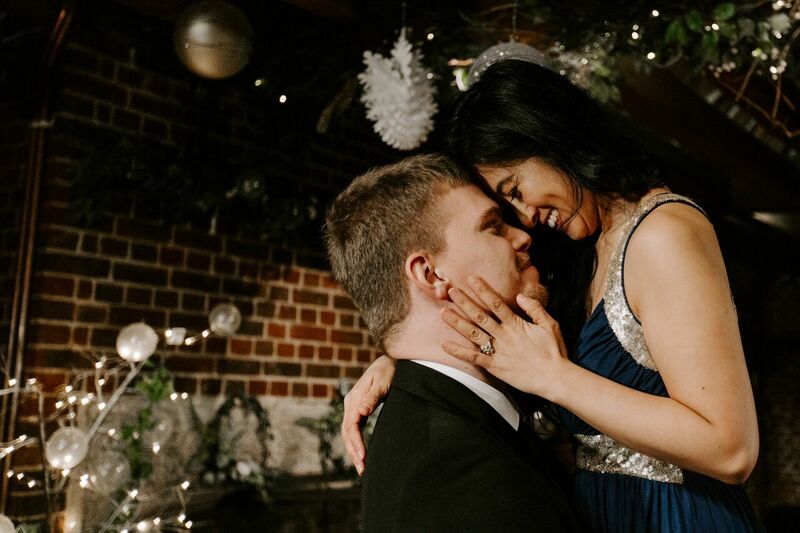 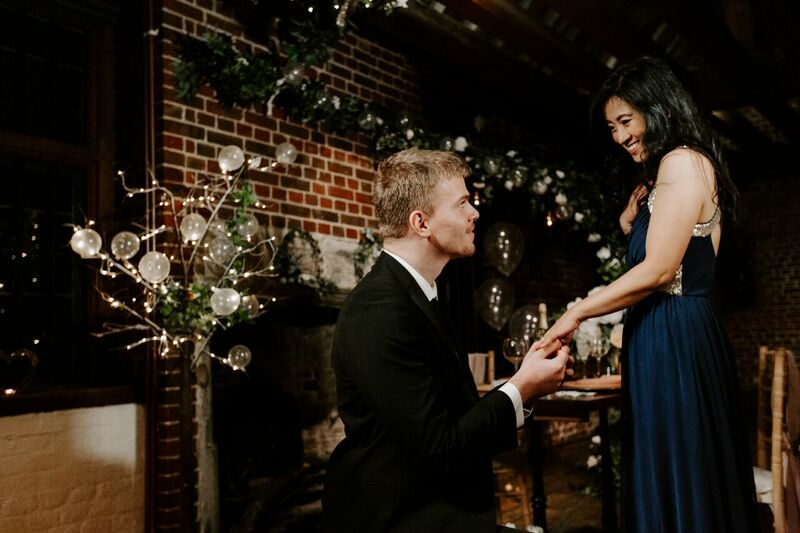 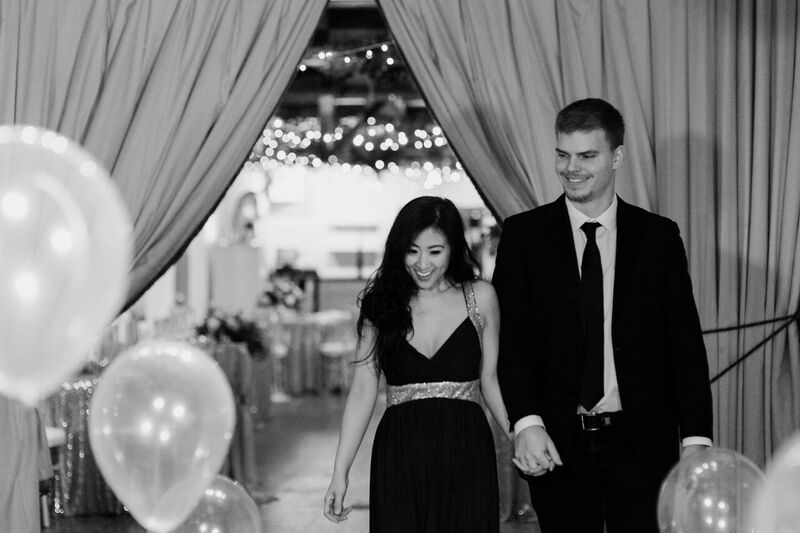 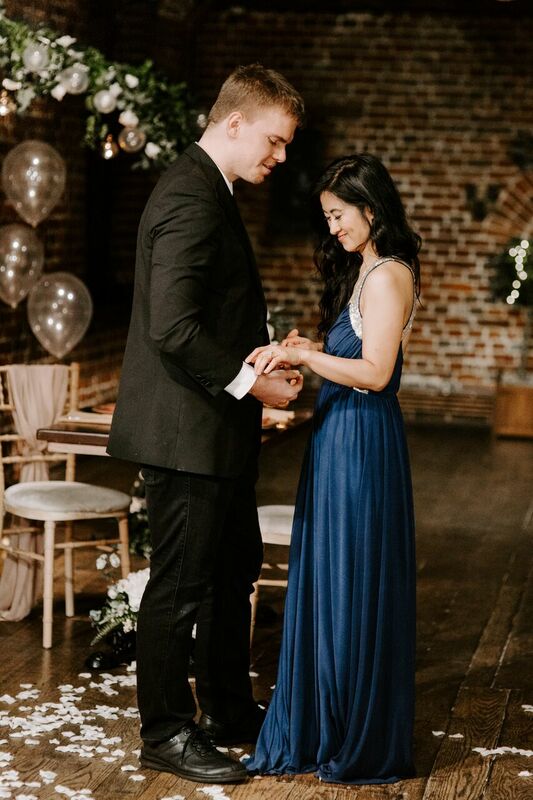 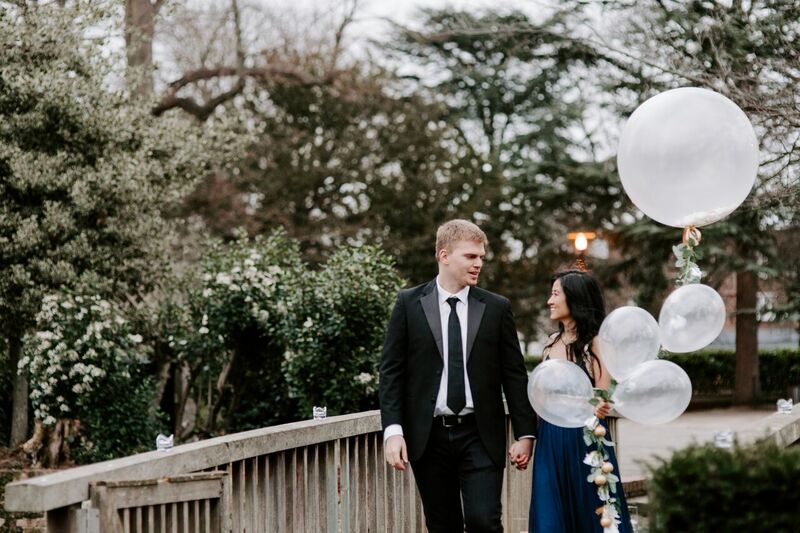 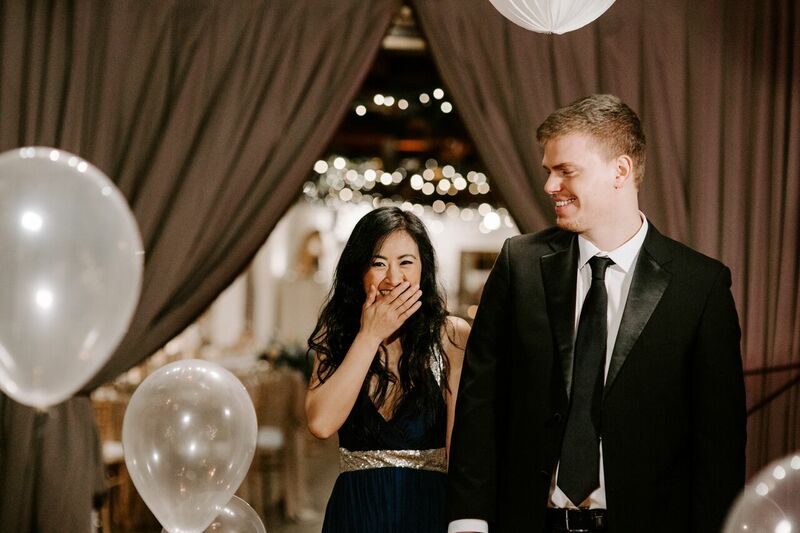 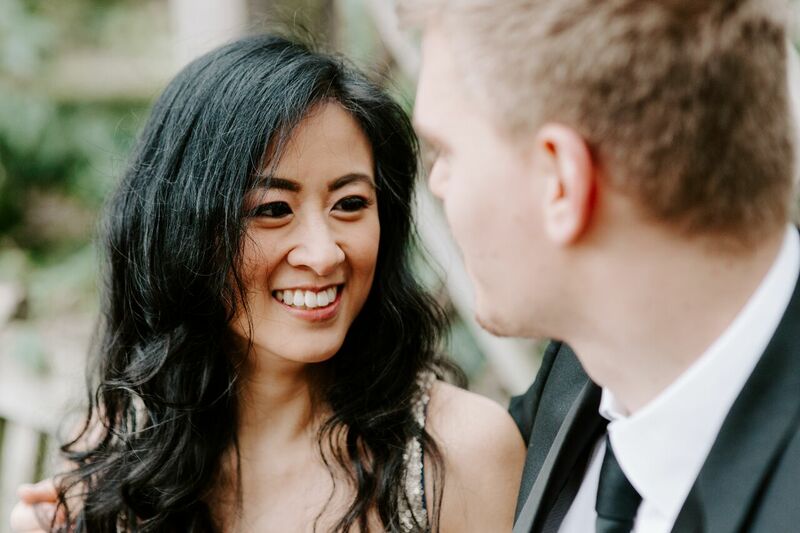 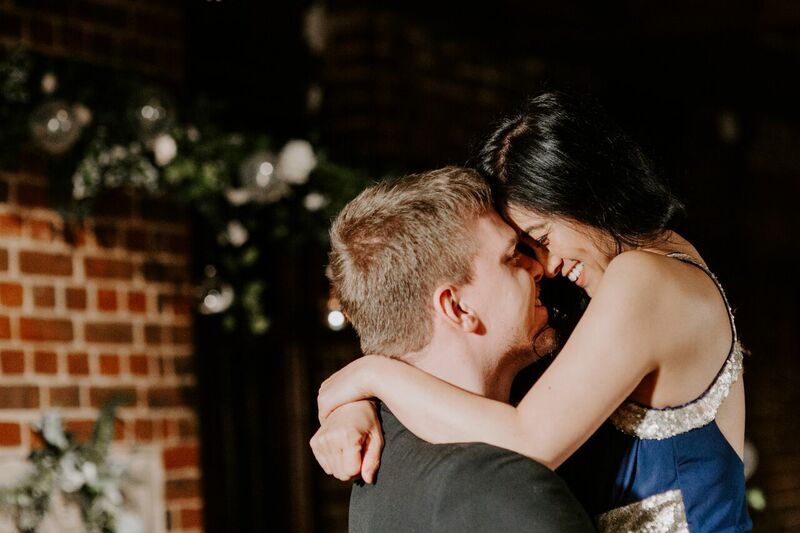 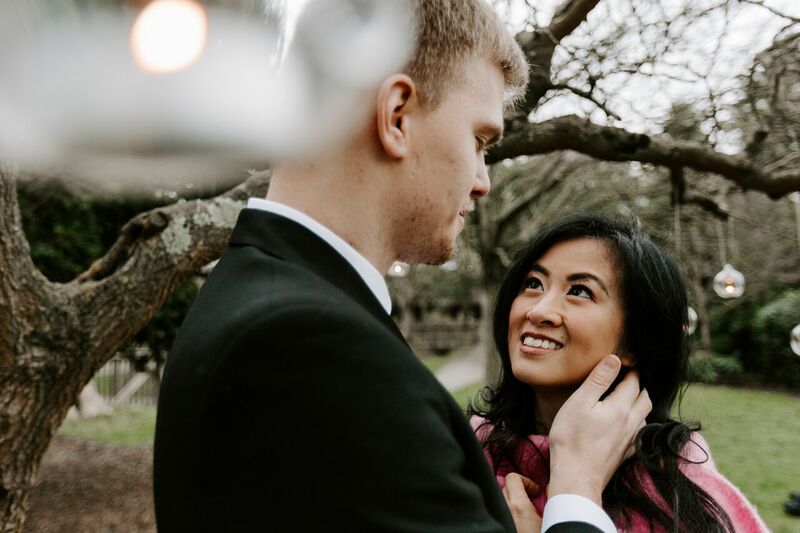 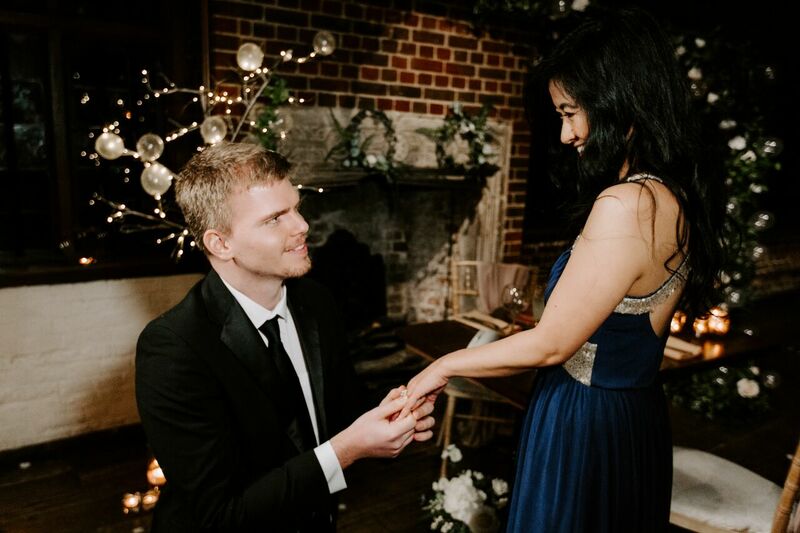 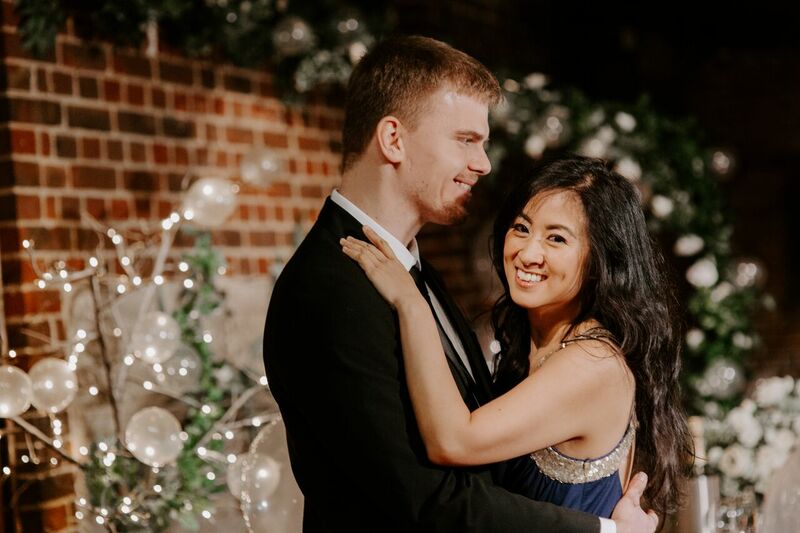 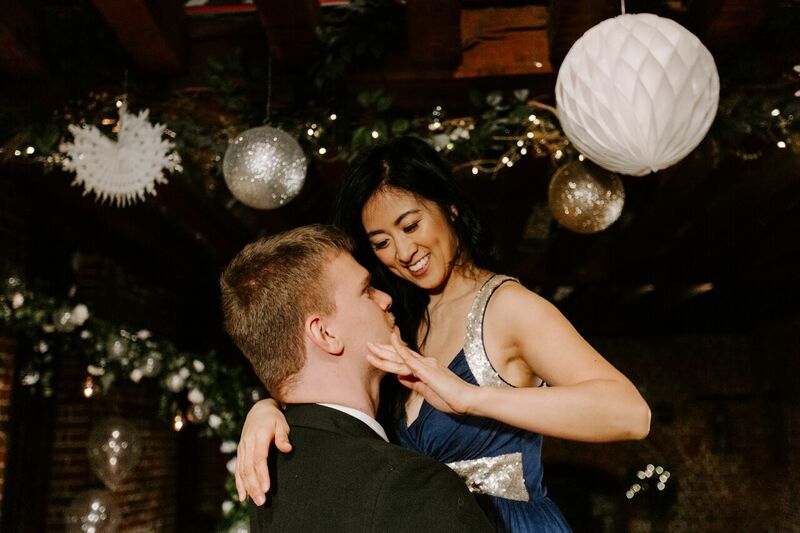 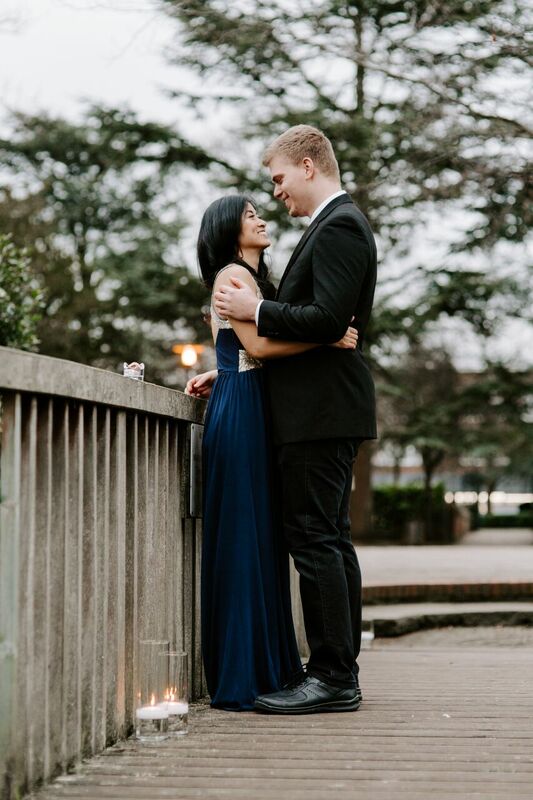 We were a bit nervous and we only had one shot at getting this right with the pictures and video footage, thankful we did as we had an amazing videographer called Walter https://walterfinch.myportfolio.com/ who captured the whole proposal perfectly, and one of the best photographers I know Caroline https://carolineopacicphotography.com/blog/ on the shoot so can’t wait to see the professional pictures and video. 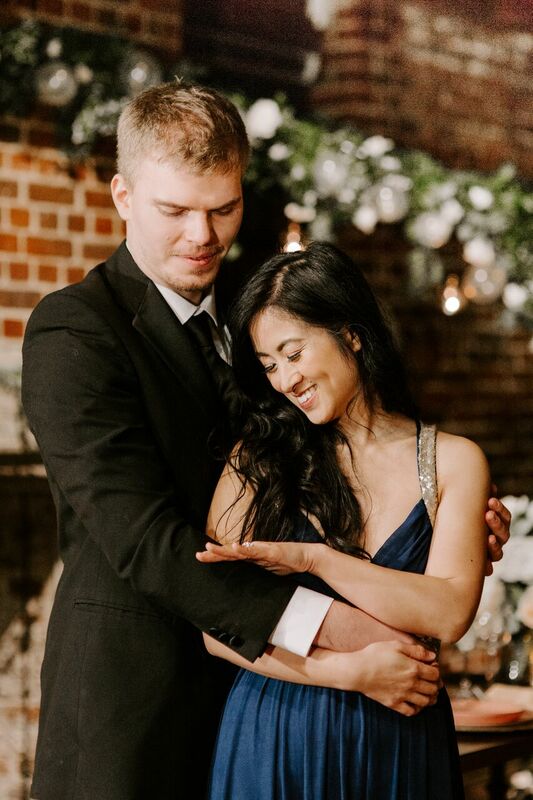 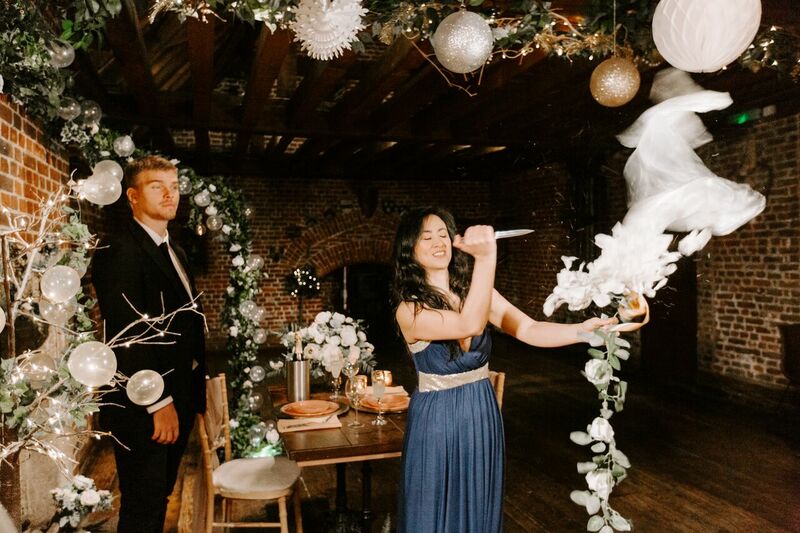 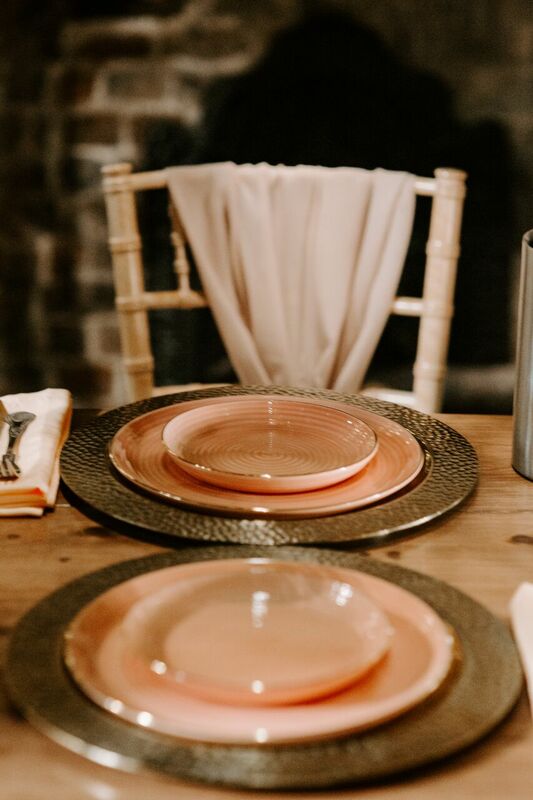 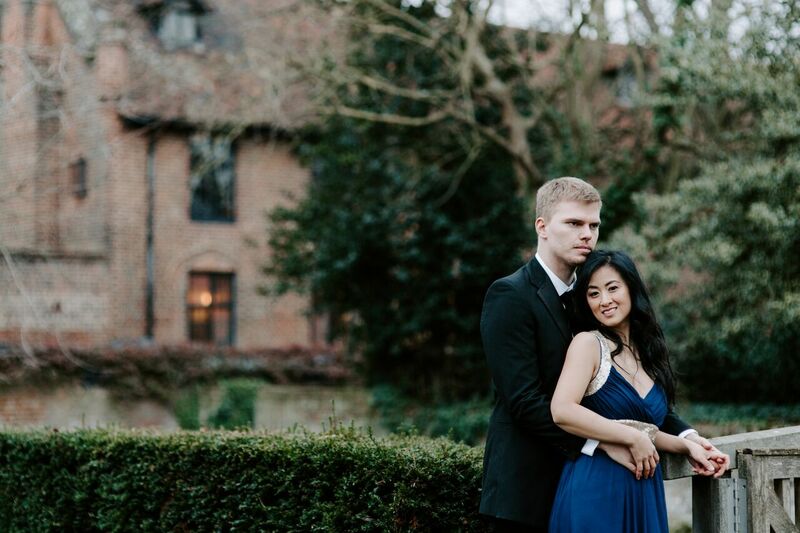 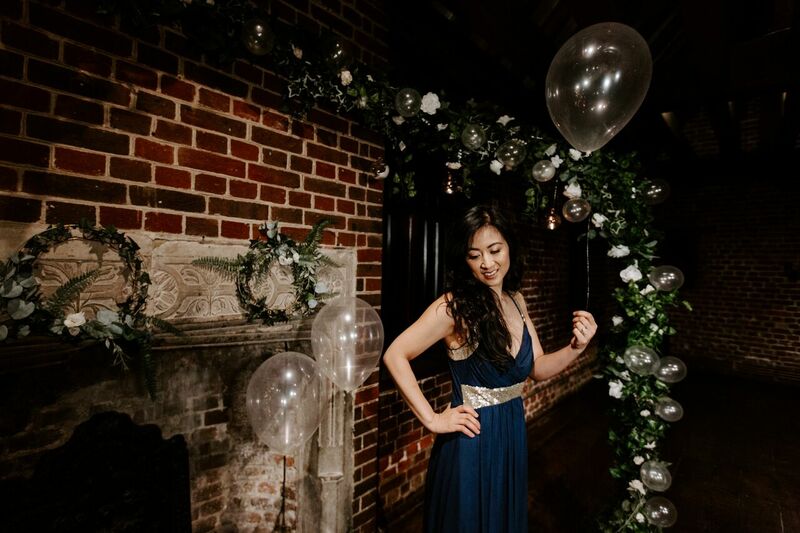 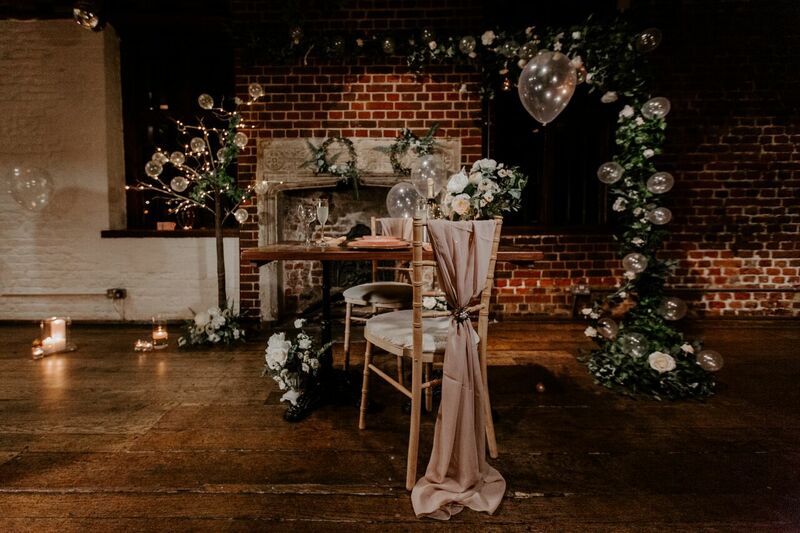 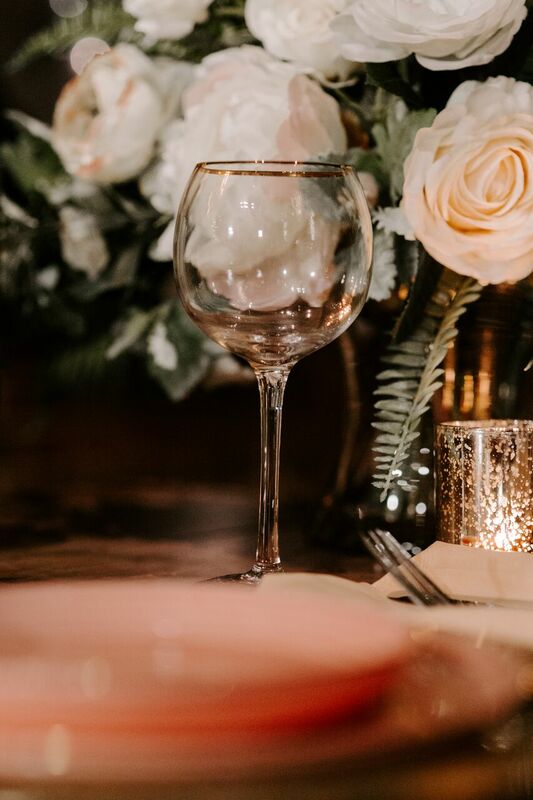 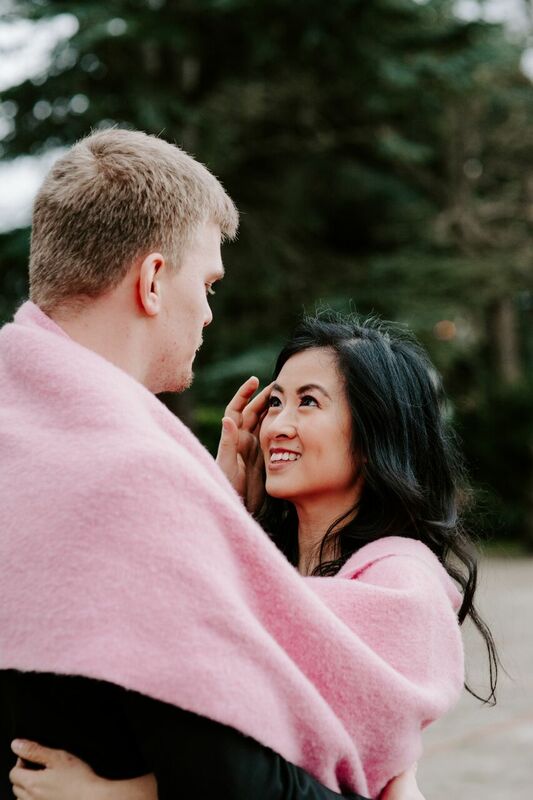 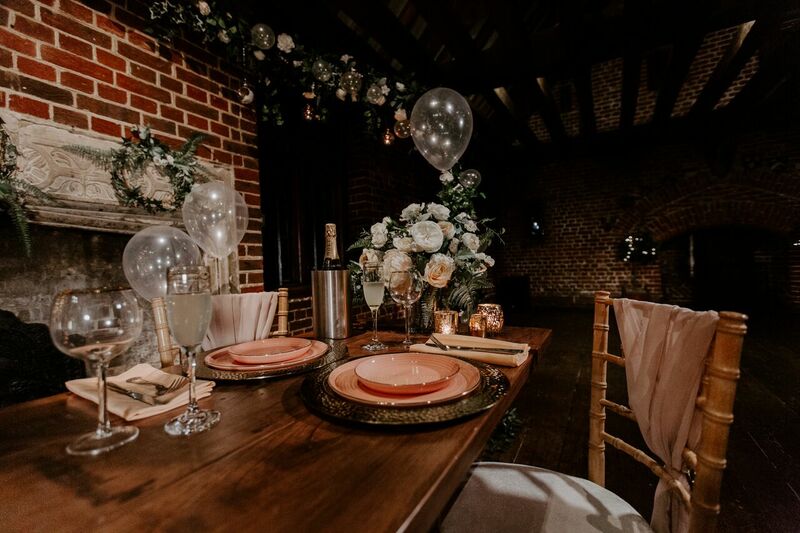 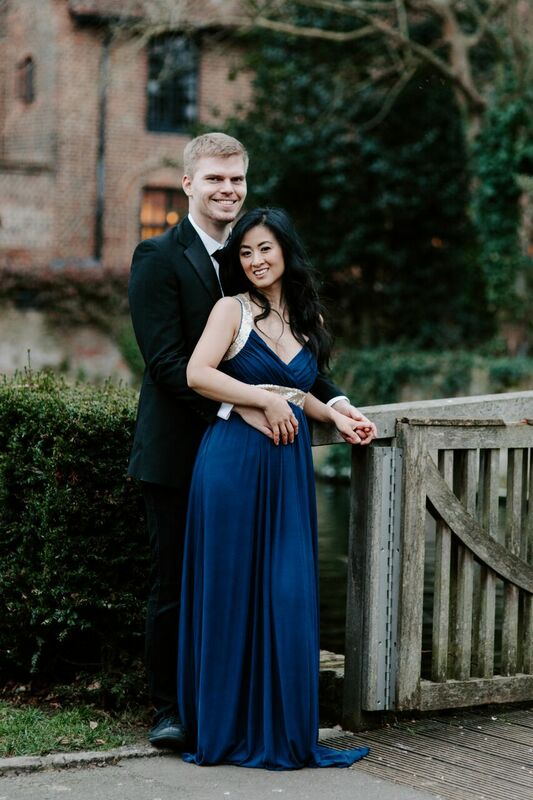 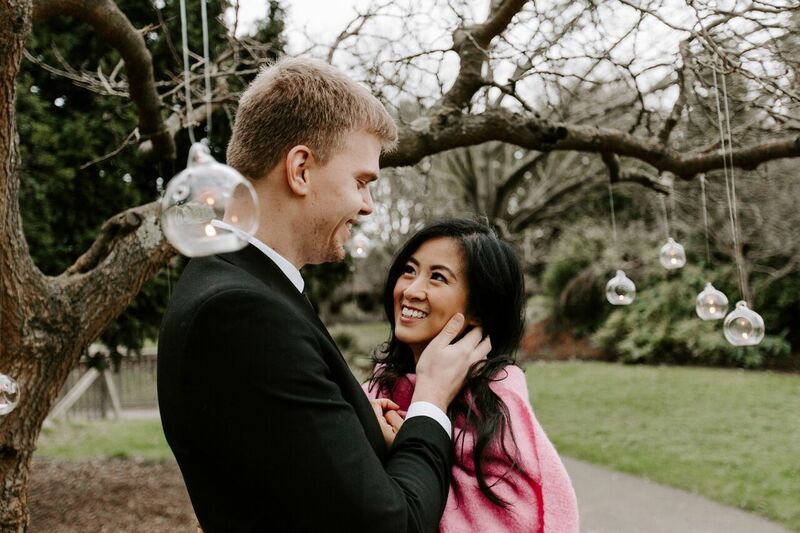 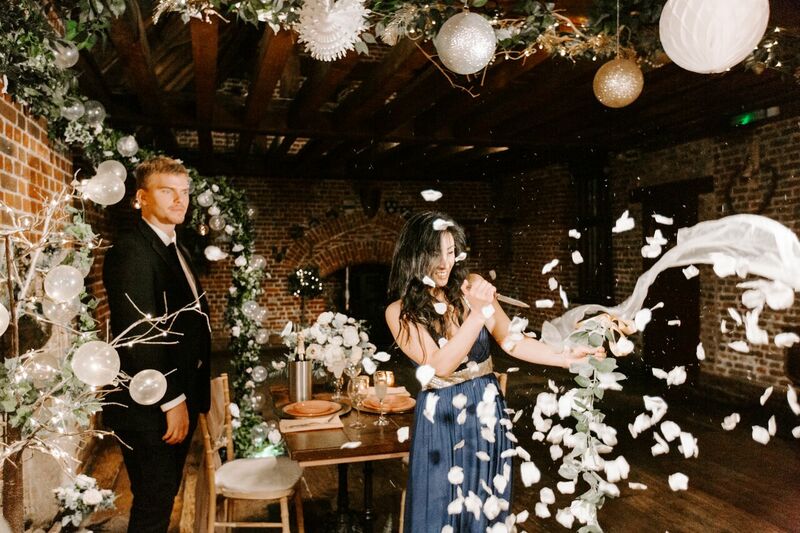 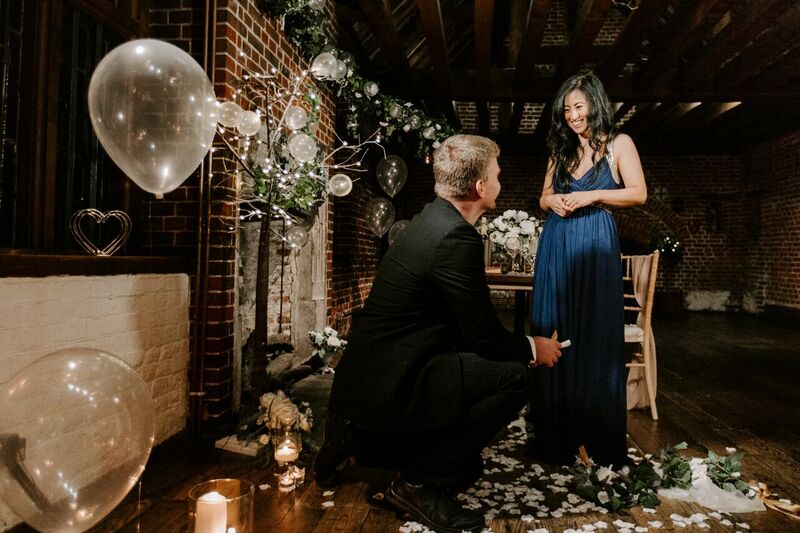 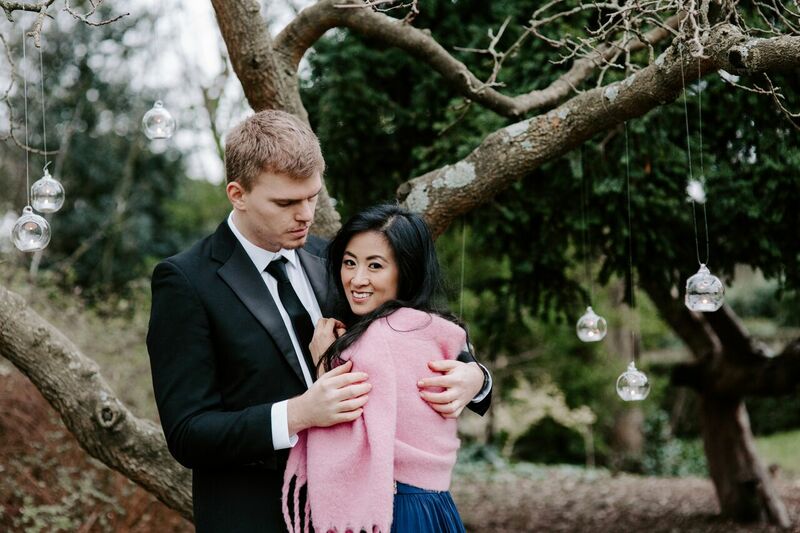 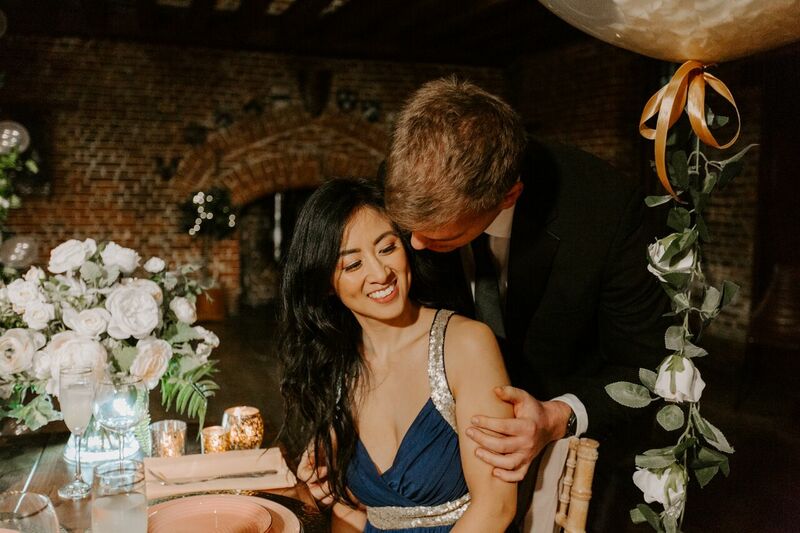 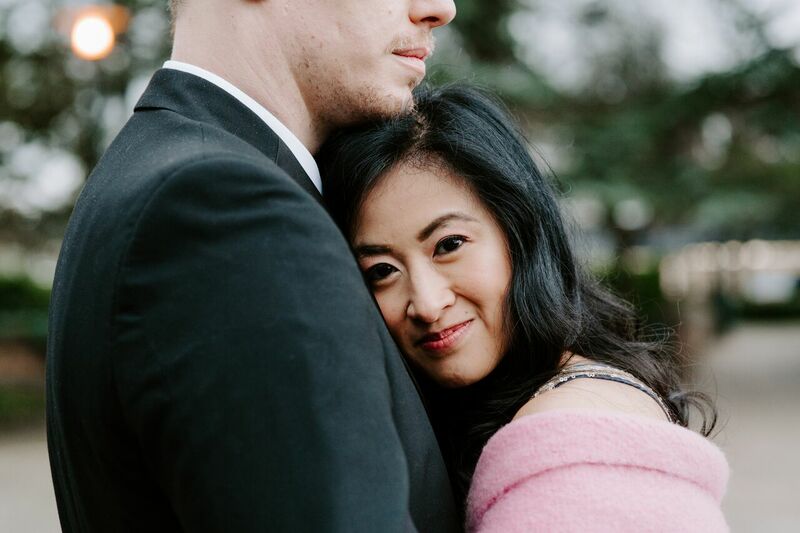 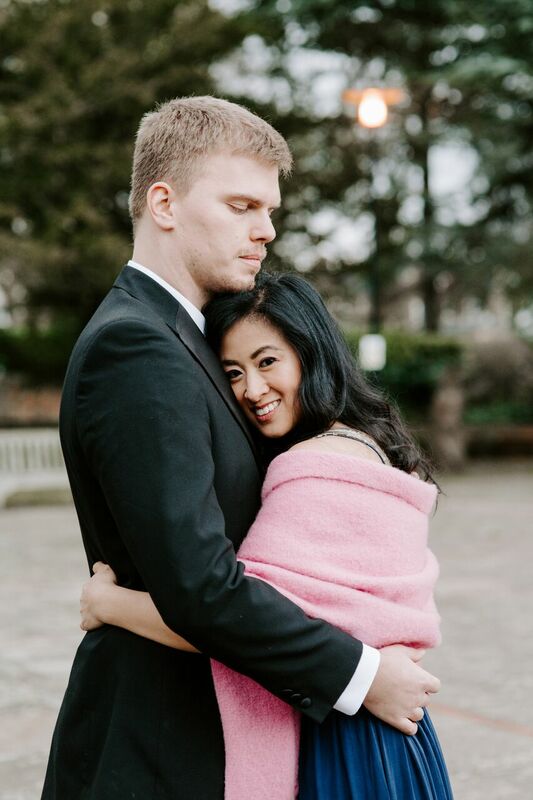 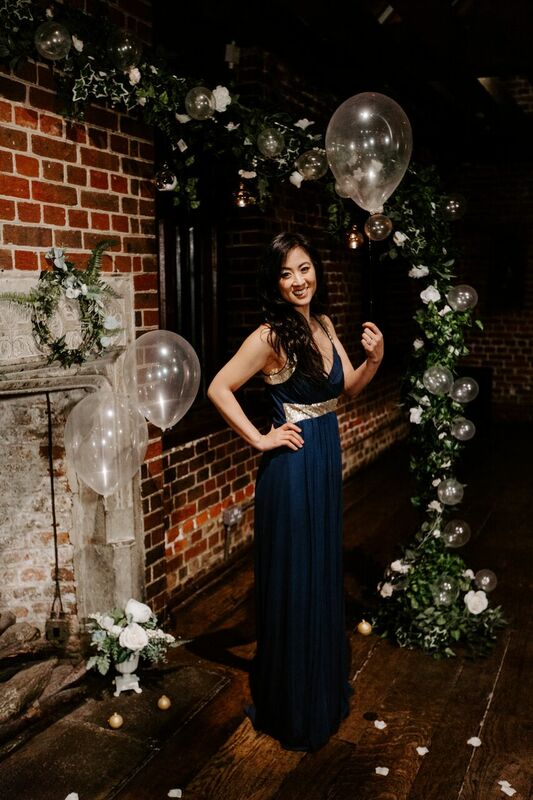 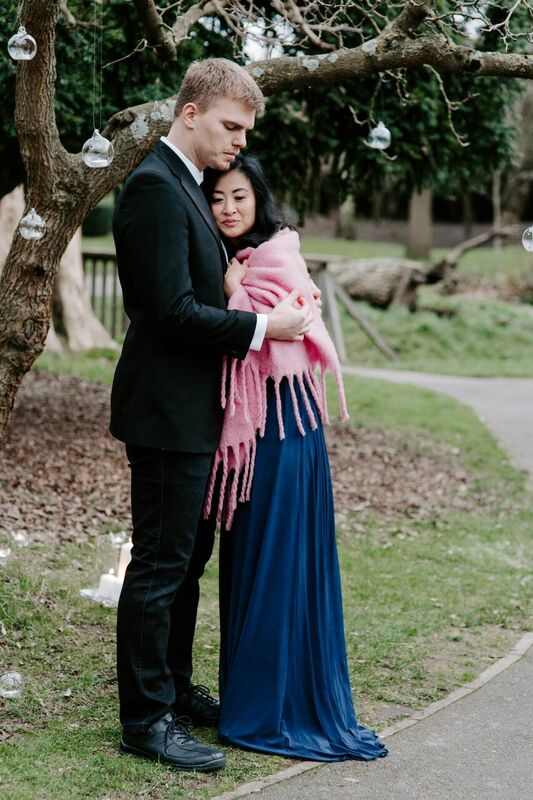 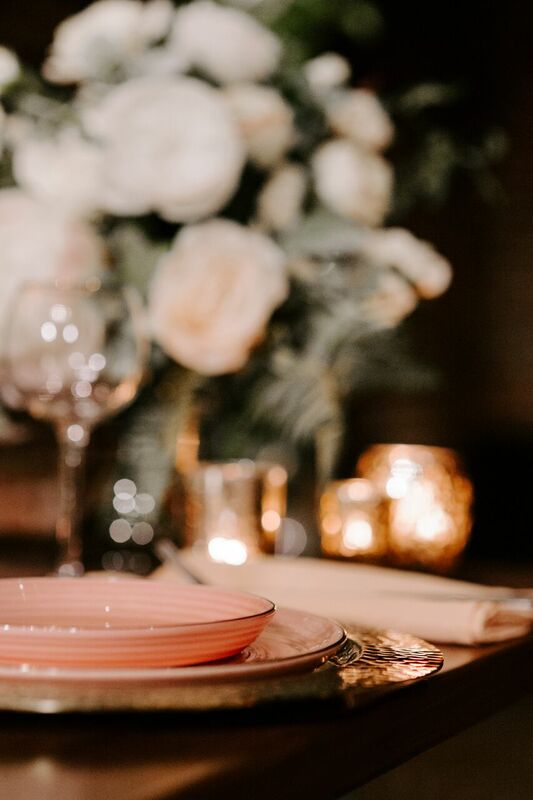 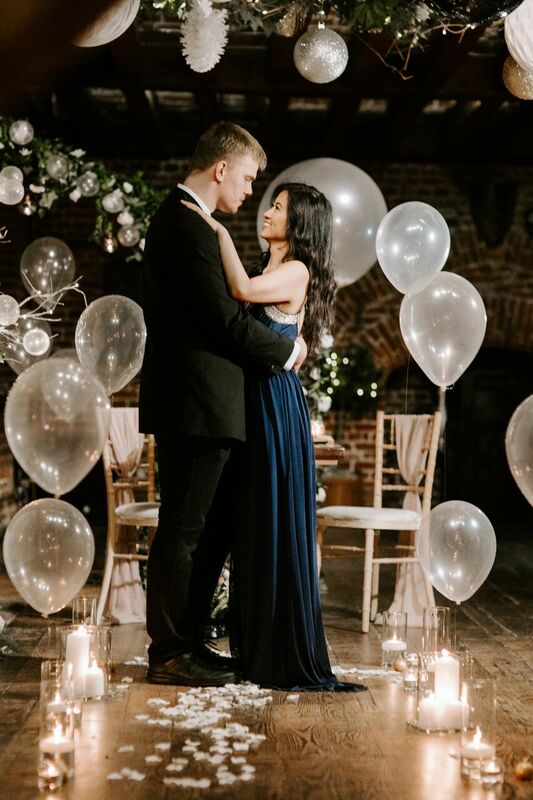 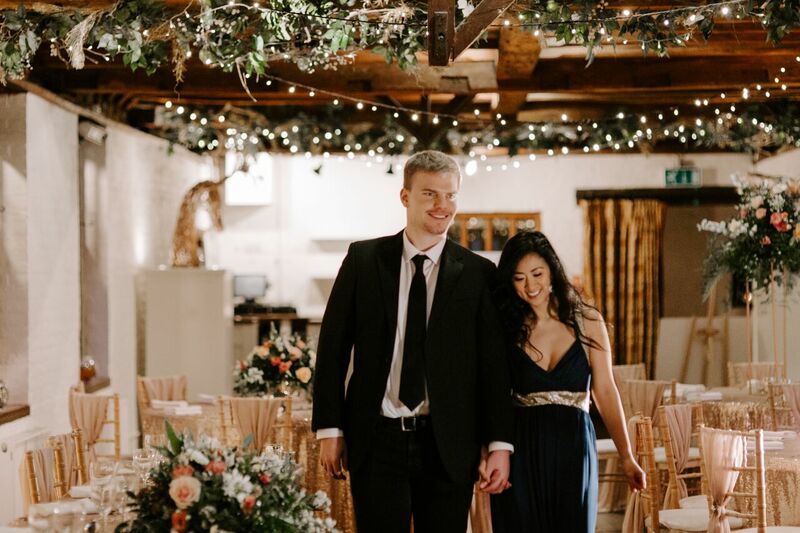 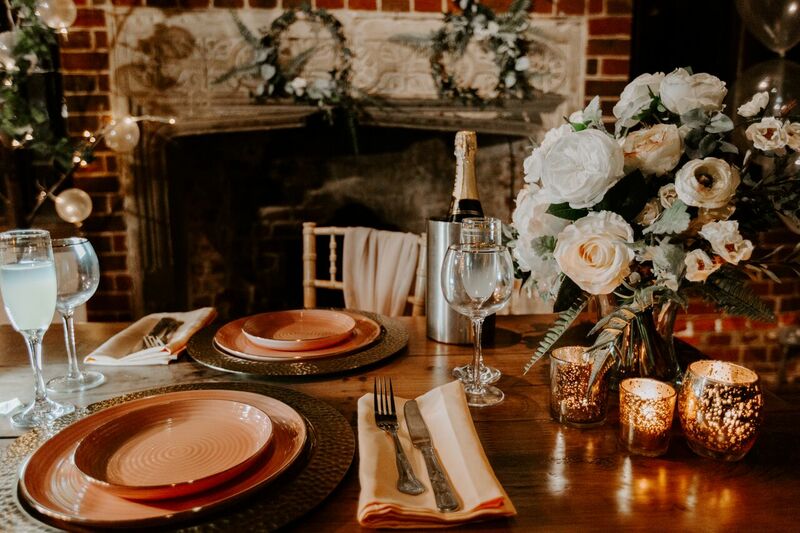 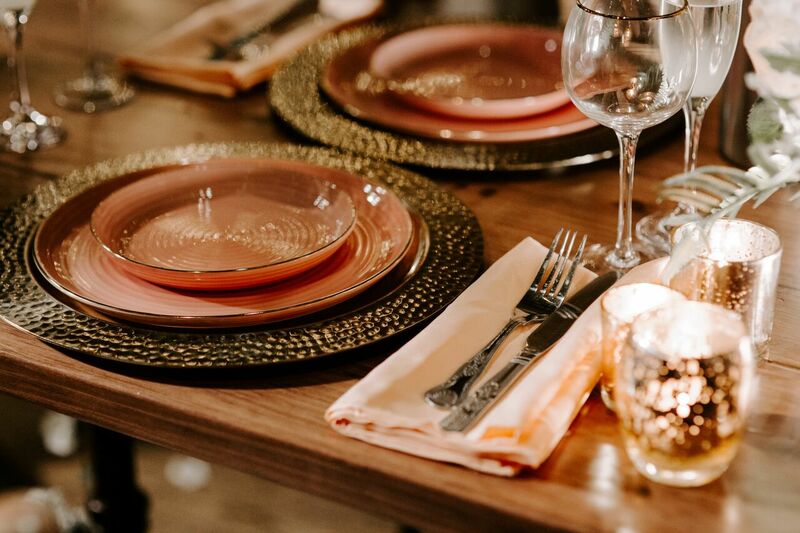 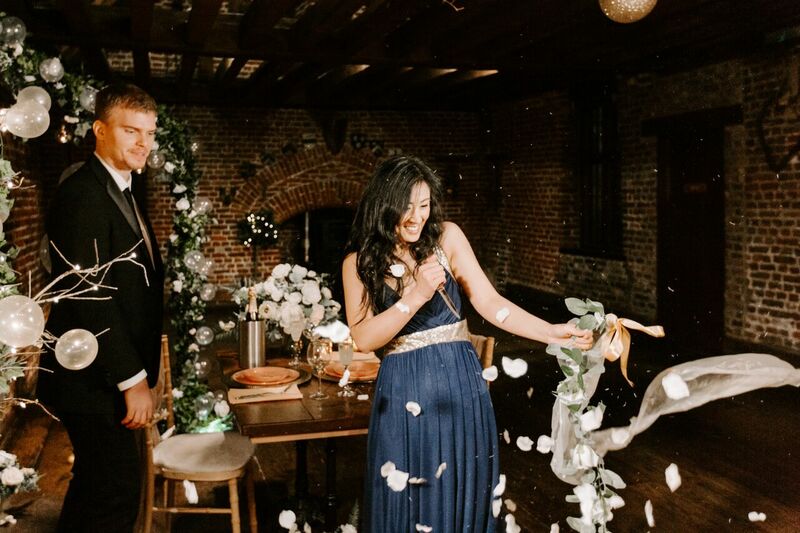 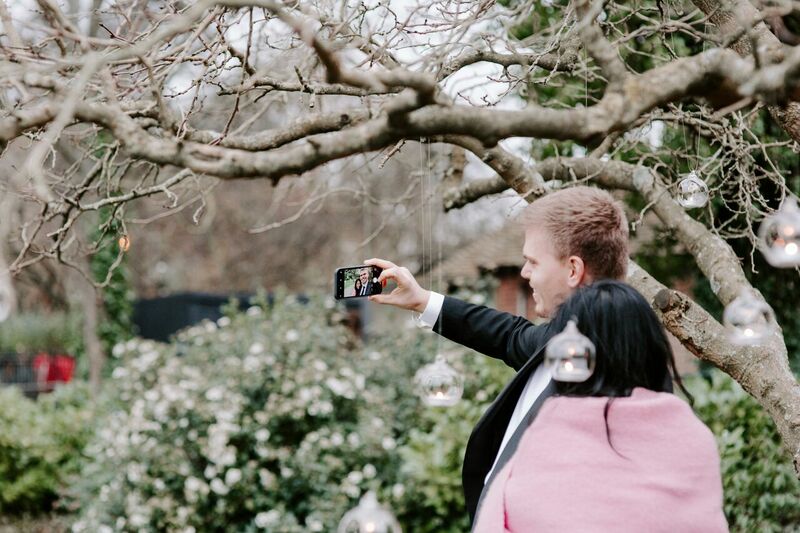 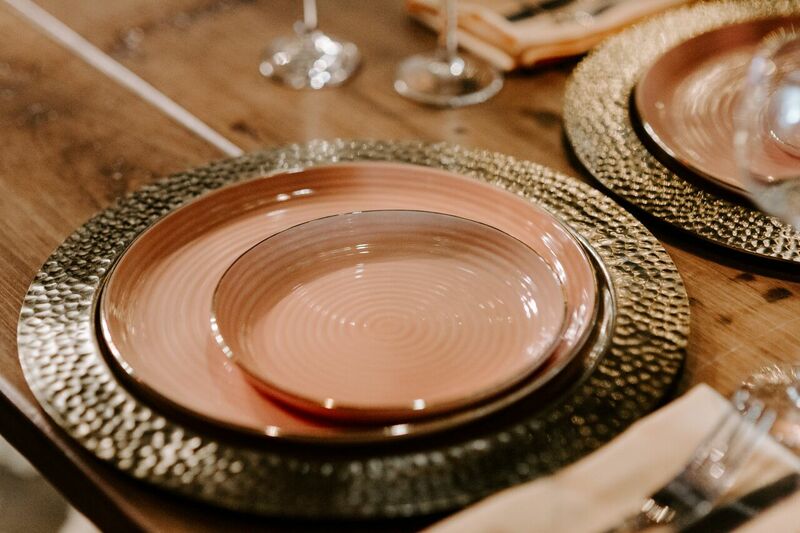 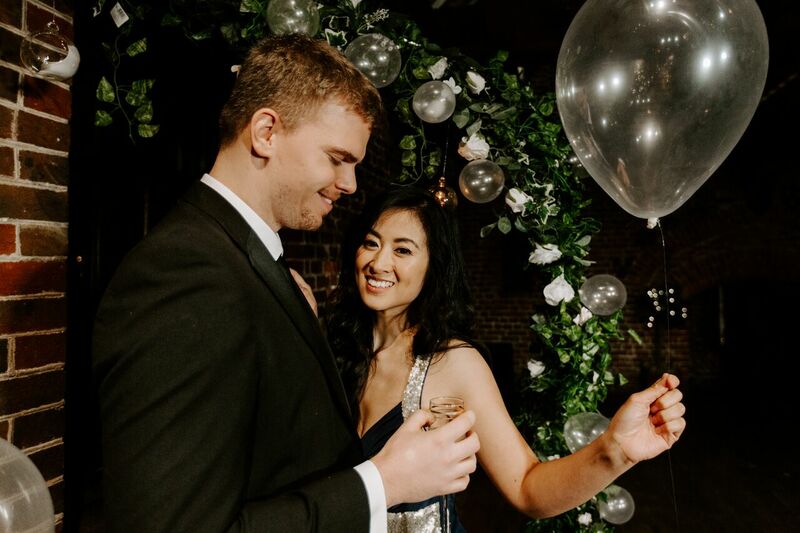 Romantic setting is thanks to The Tudor Barn in Eltham who hosted us https://tudorbarneltham.com/ and make up was beautifully done by the lovely Kerry Ann www.kerryannmakeup.com who decided to use delicate pinks to create a soft winter romance look for this shoot, she wanted to keep the look subtle but add little touches to bring out Joyce’s natural beauty. 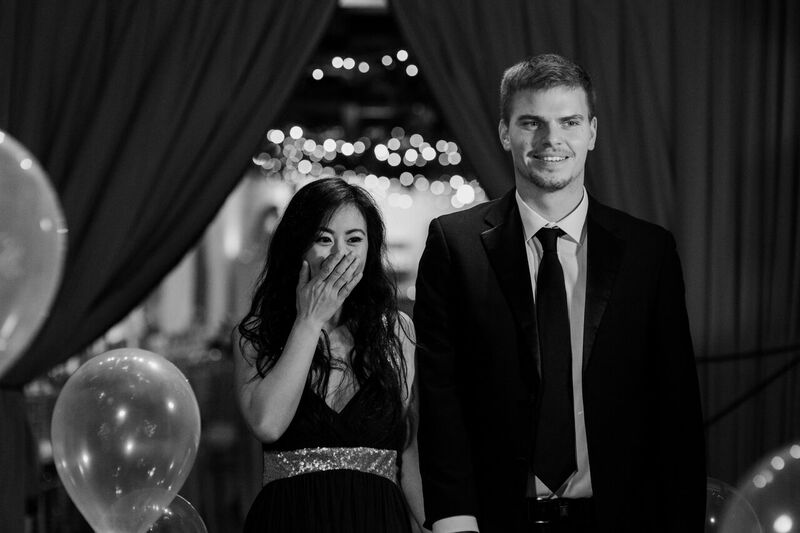 A special thanks to our wonderful models Joyce and David, who clearly have such great chemistry.